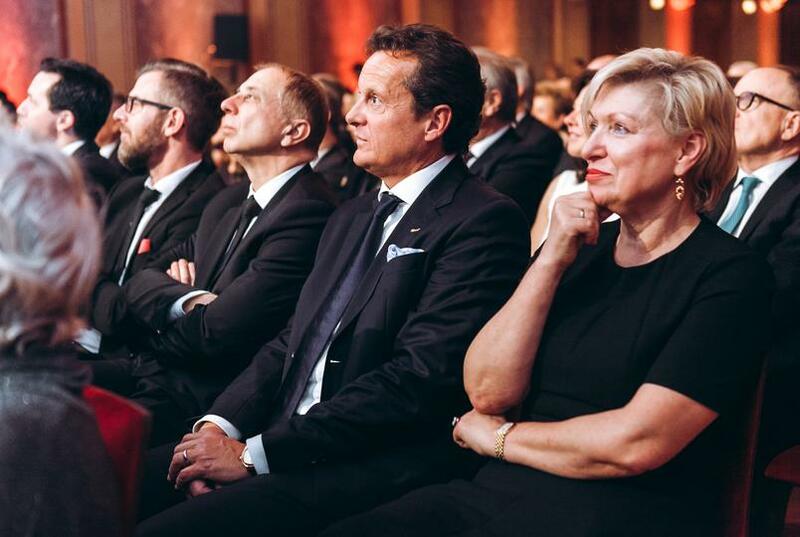 Looking to the future. 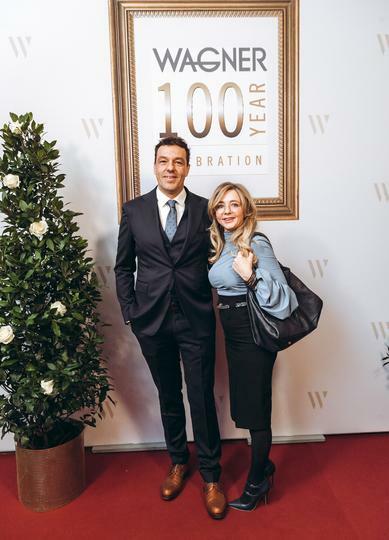 Committed to the present. 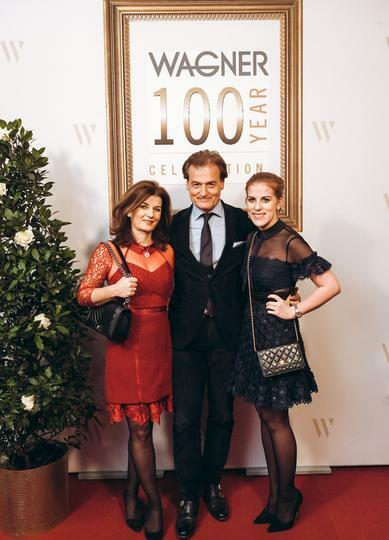 Respecting tradition. 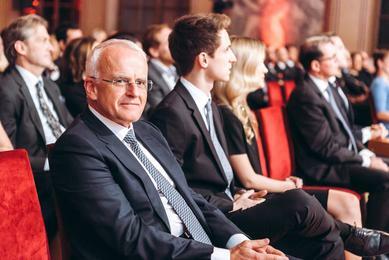 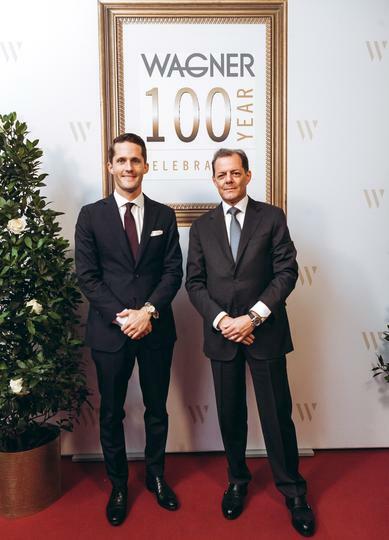 The guiding principles of this family business, which was founded in Vienna in 1917, apply equally today and are still embraced as an incentive for setting the highest standards for all business activities in the future too. 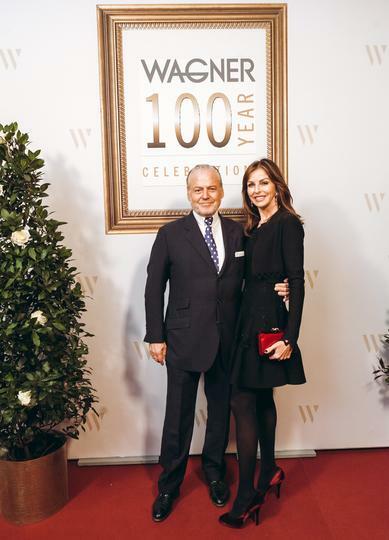 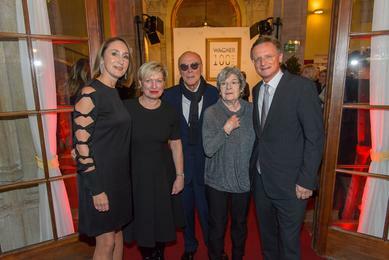 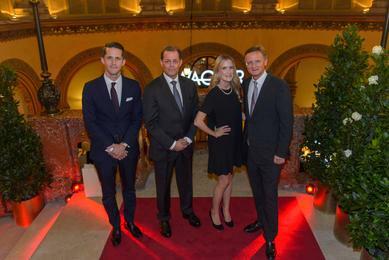 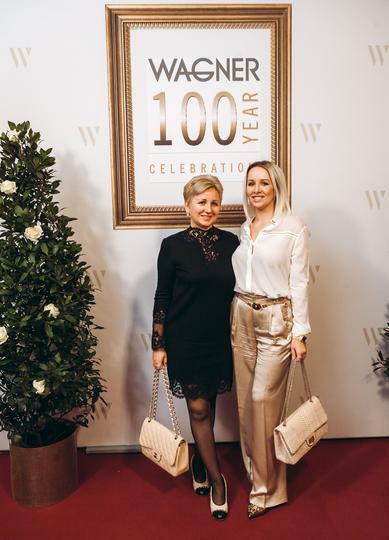 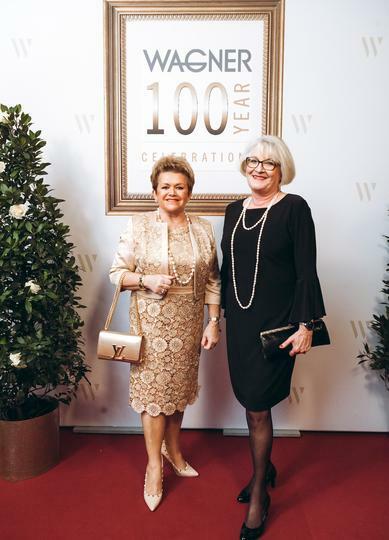 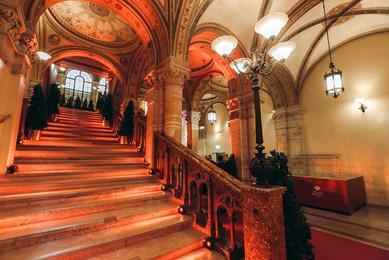 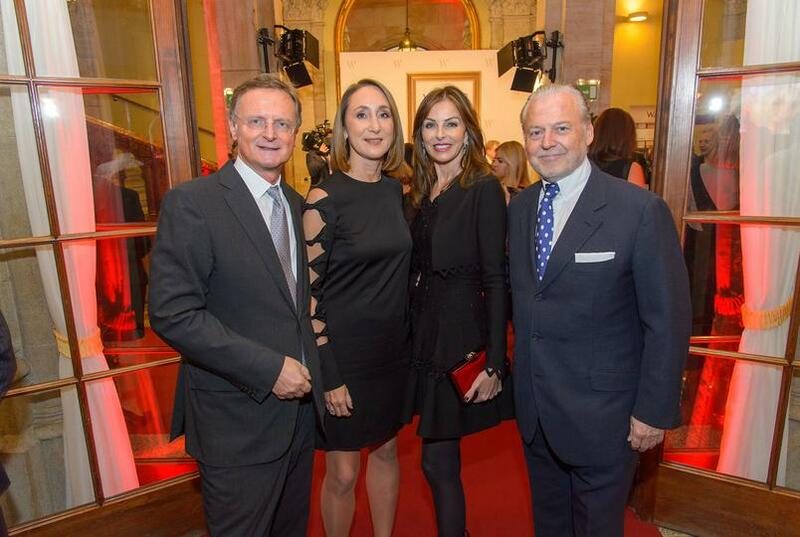 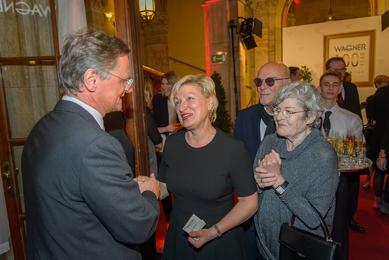 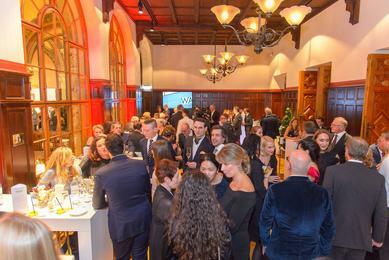 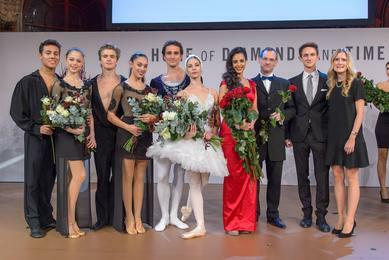 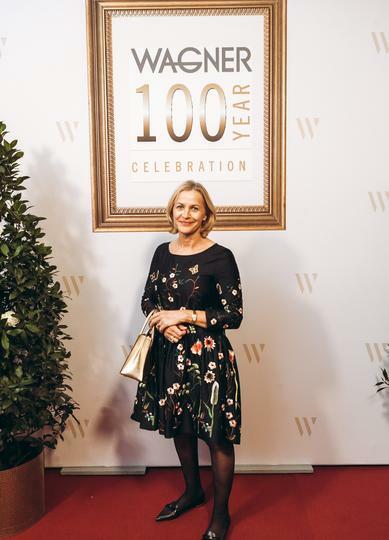 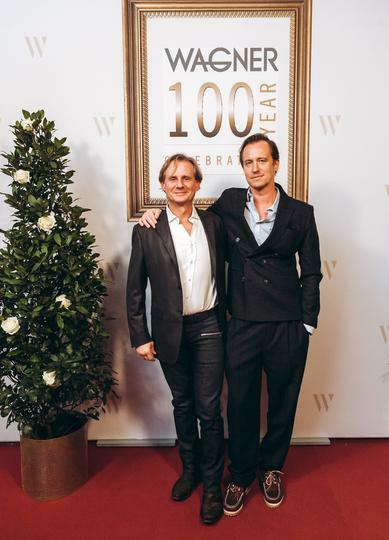 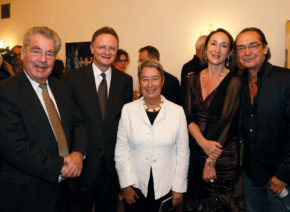 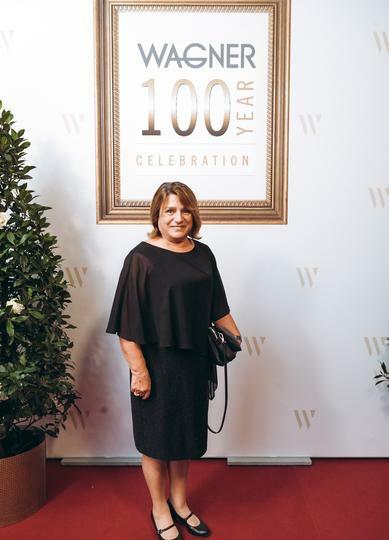 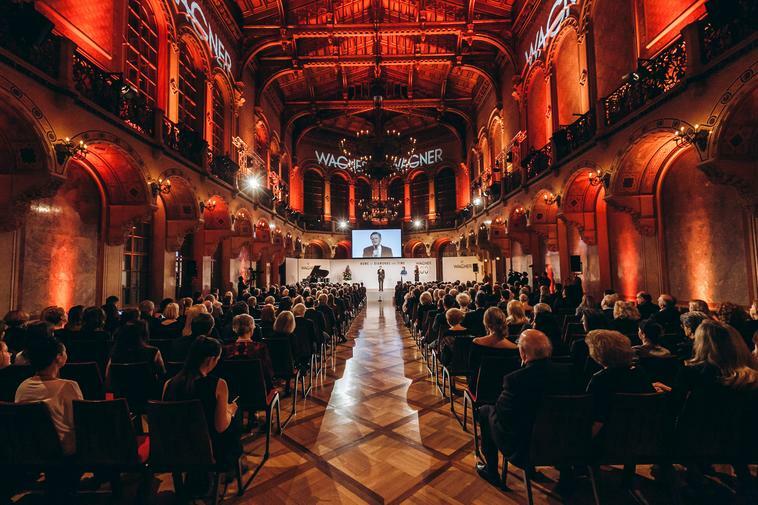 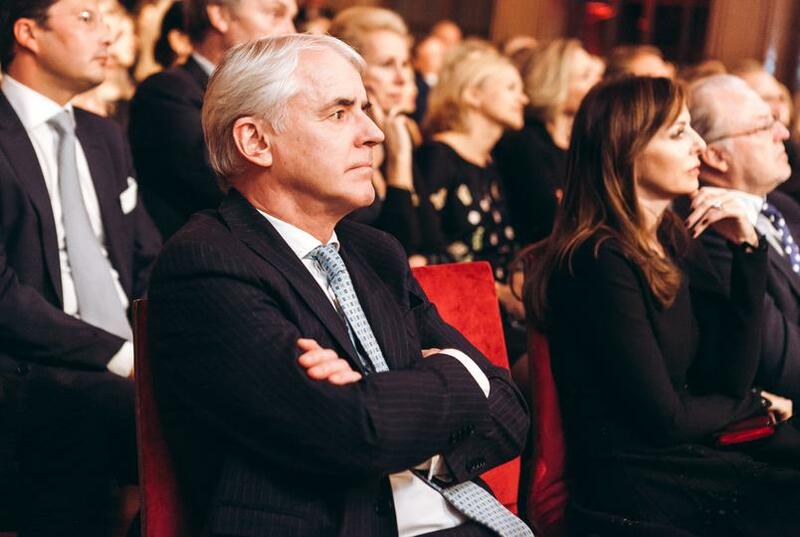 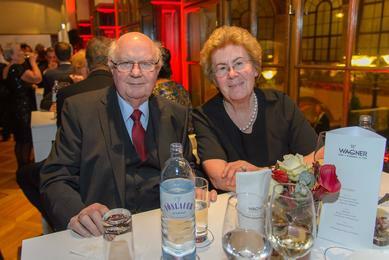 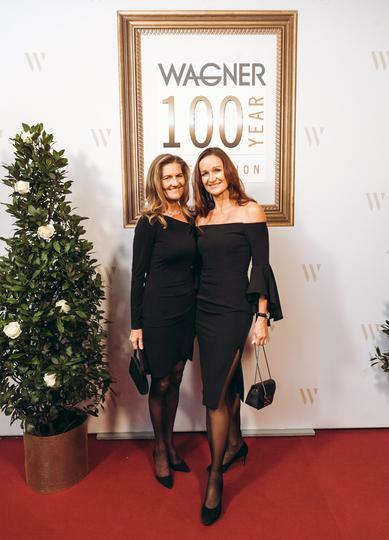 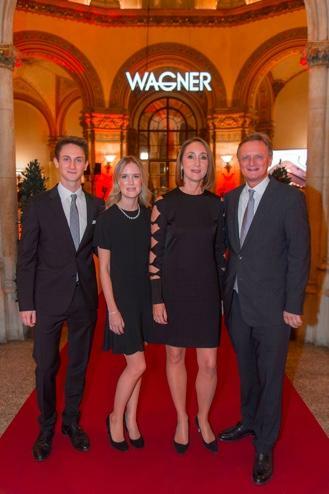 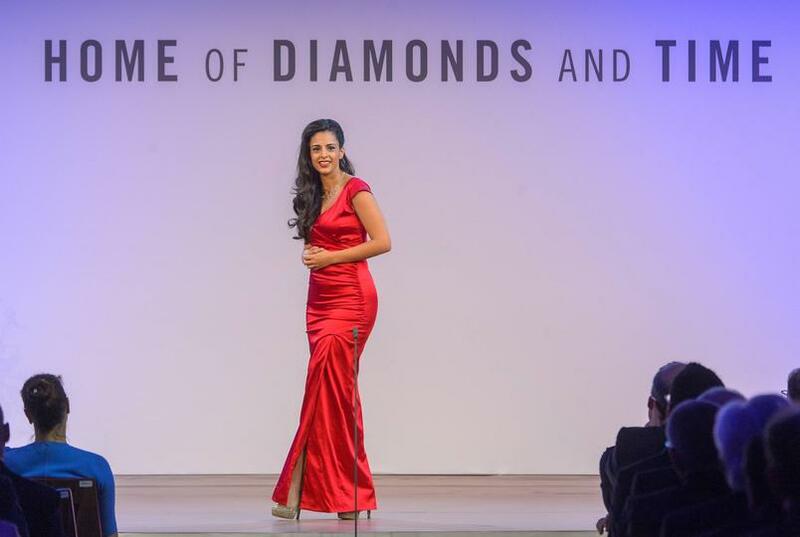 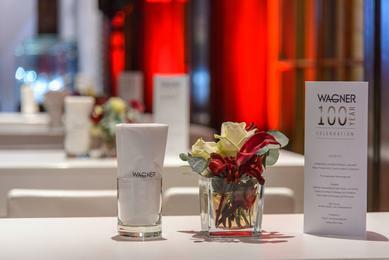 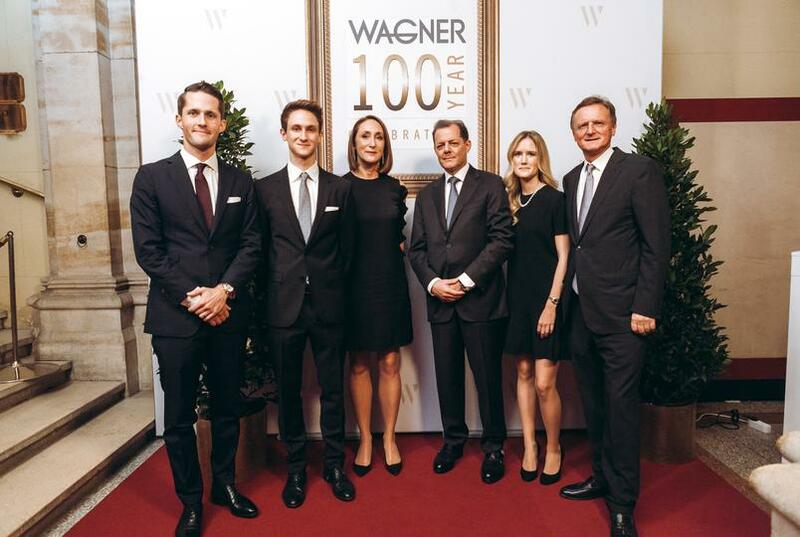 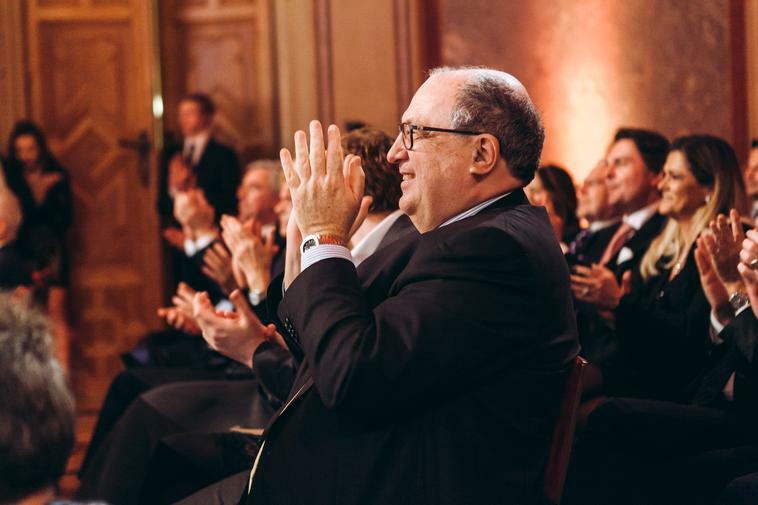 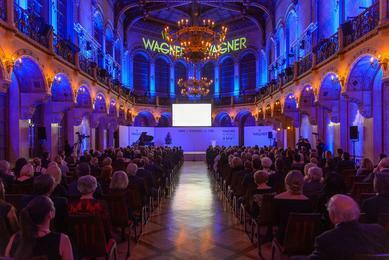 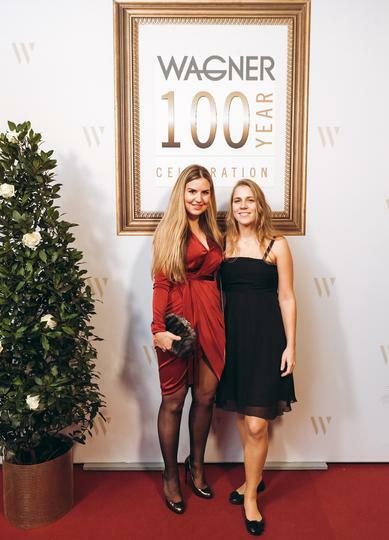 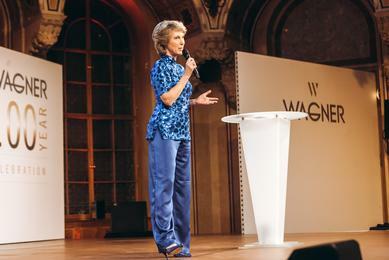 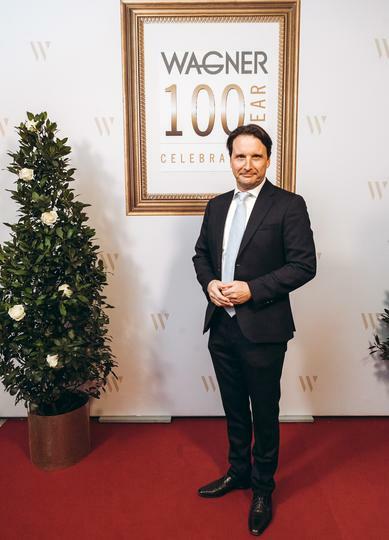 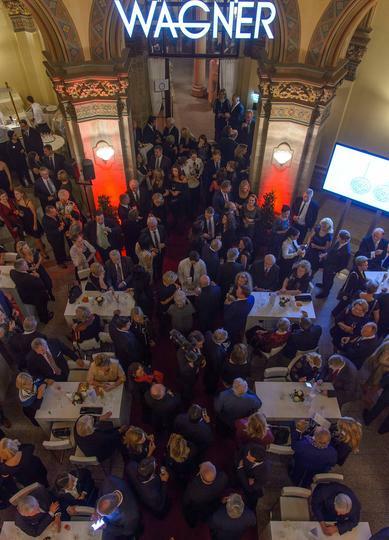 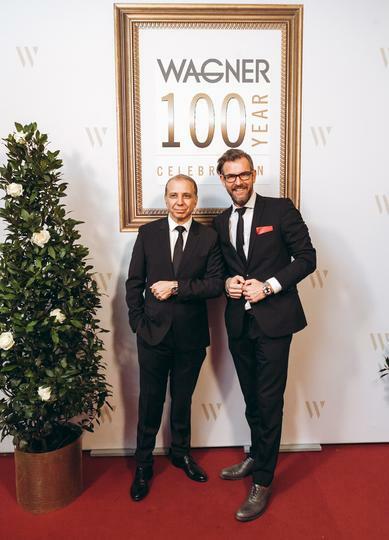 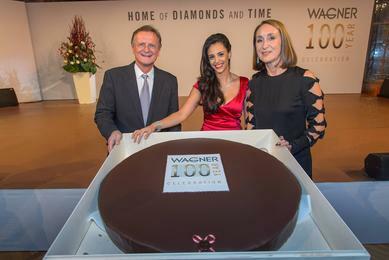 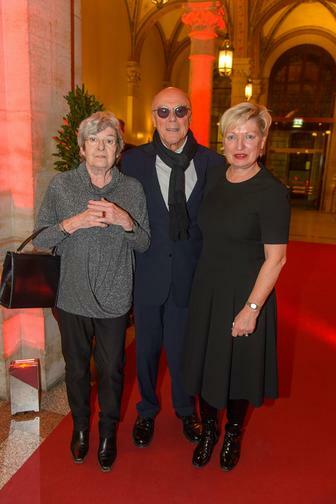 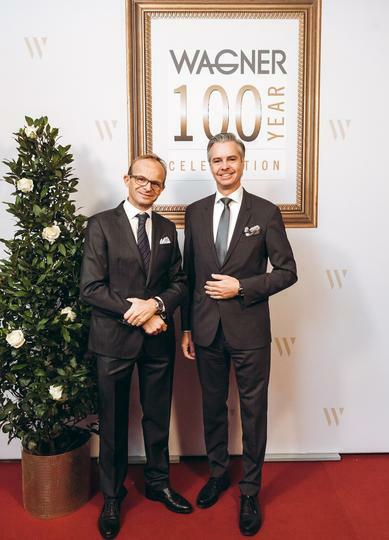 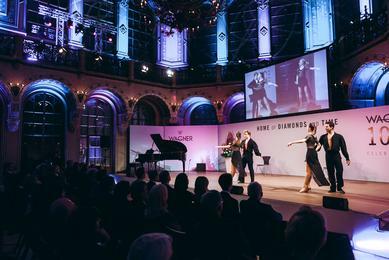 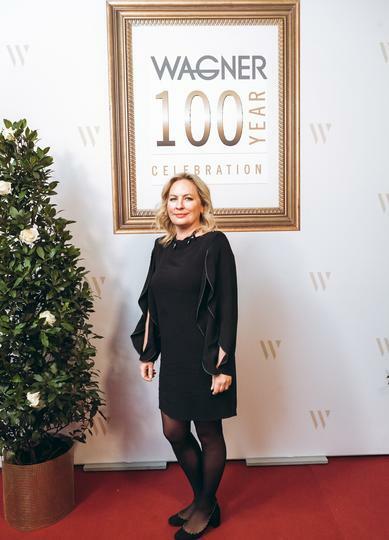 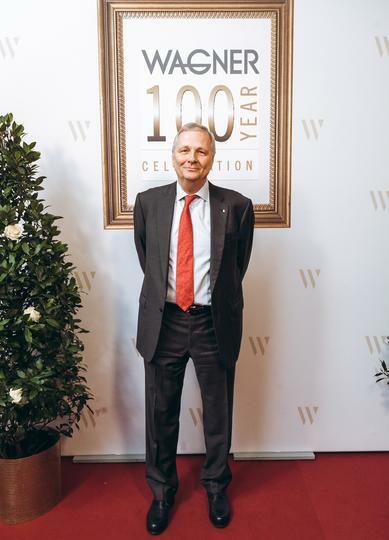 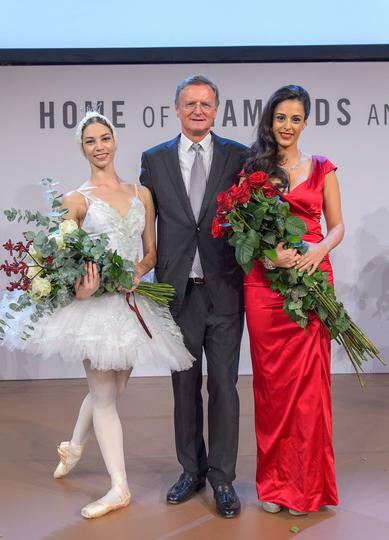 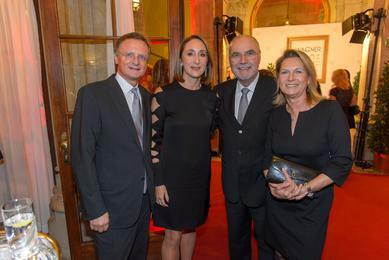 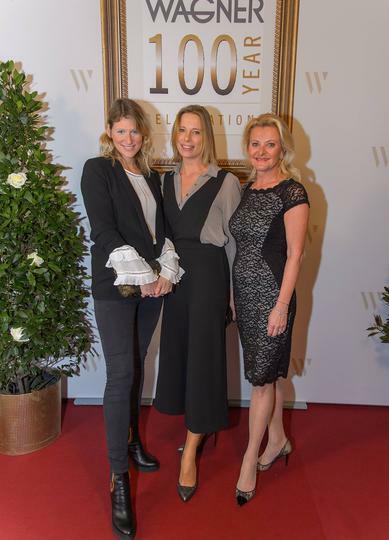 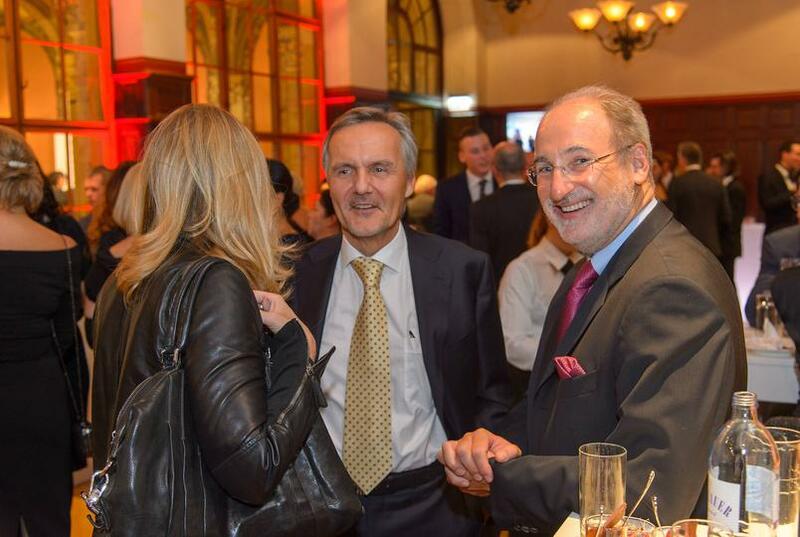 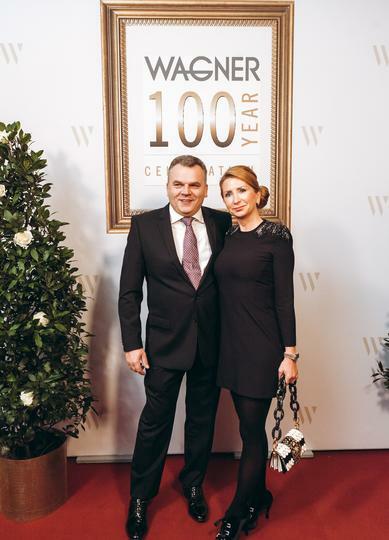 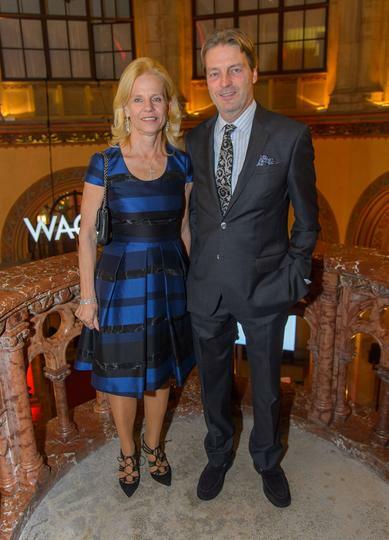 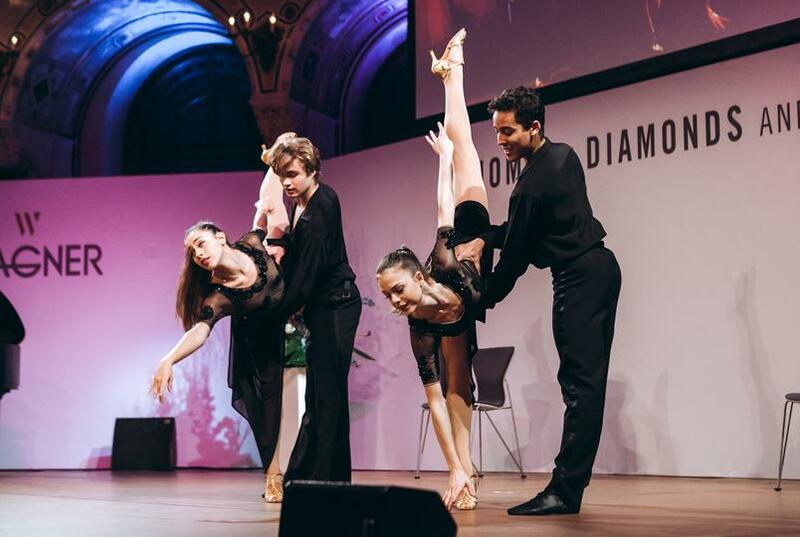 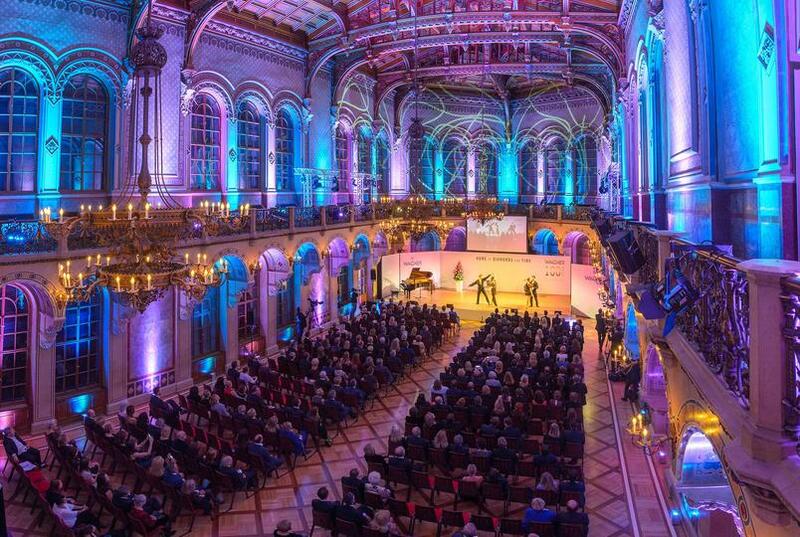 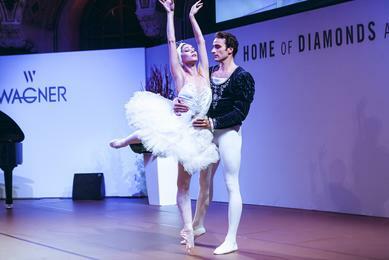 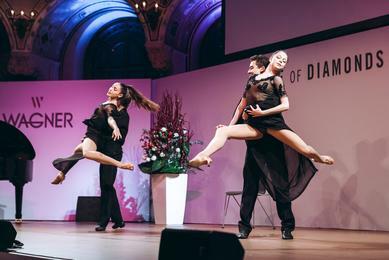 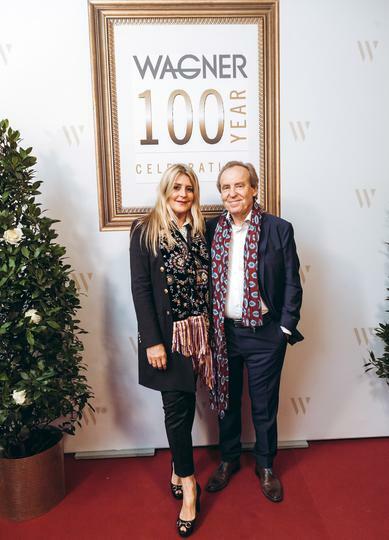 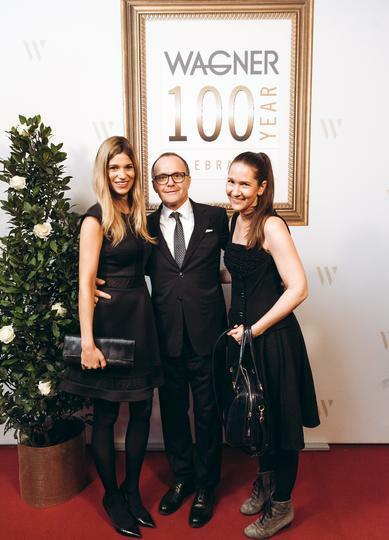 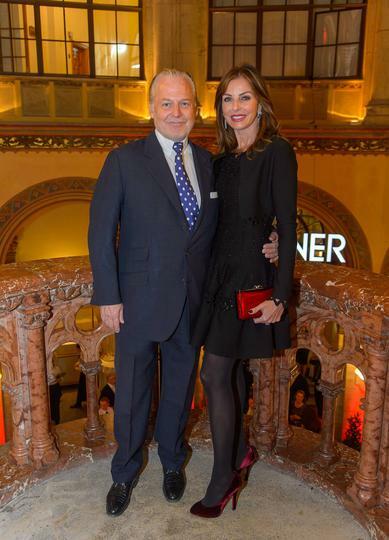 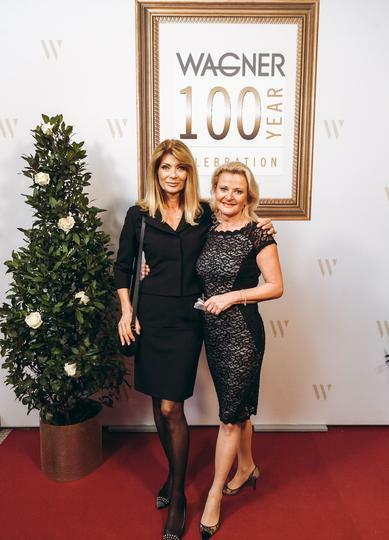 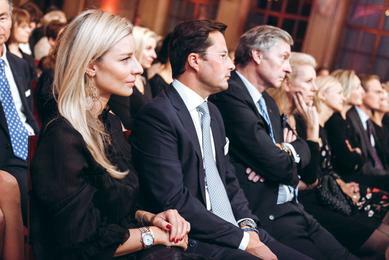 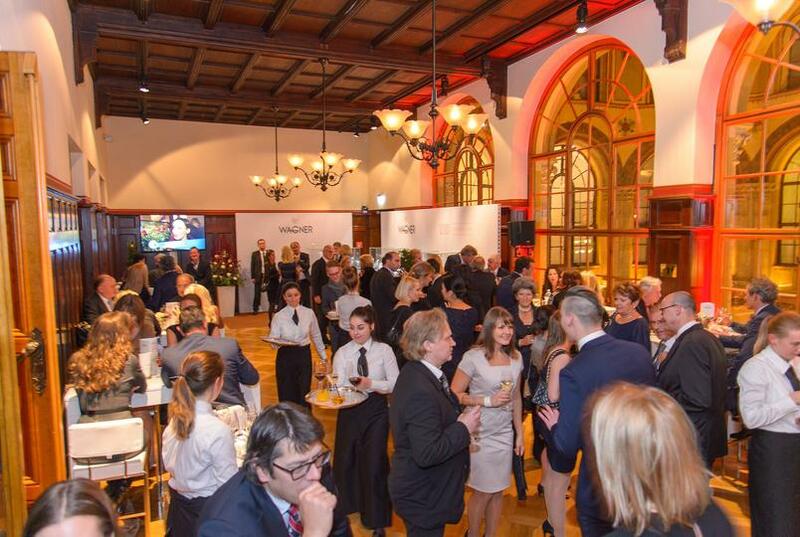 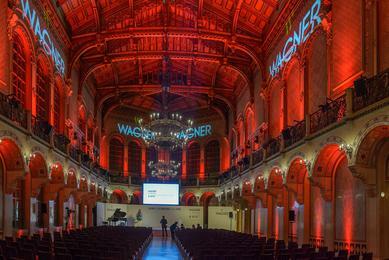 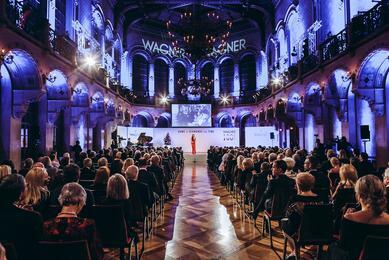 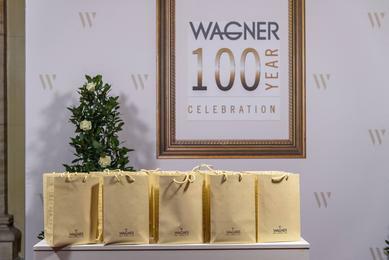 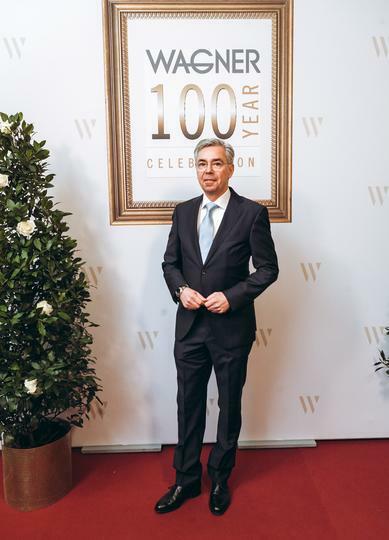 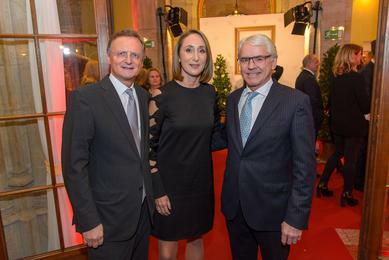 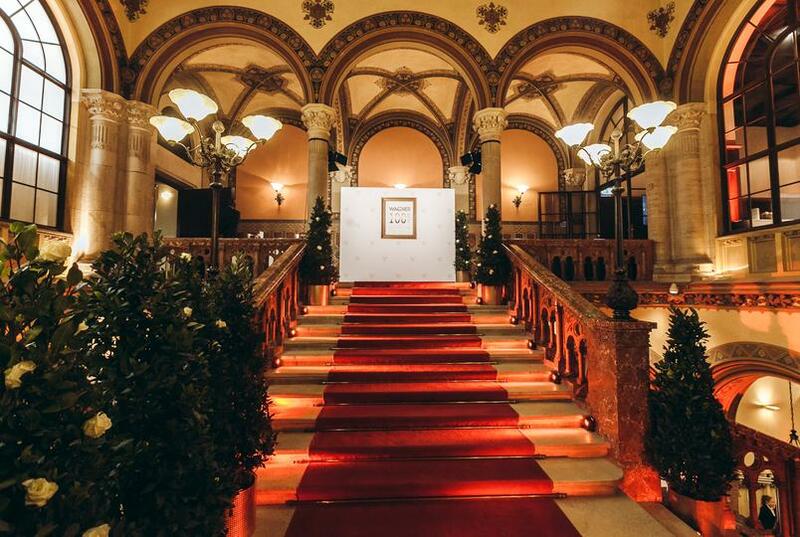 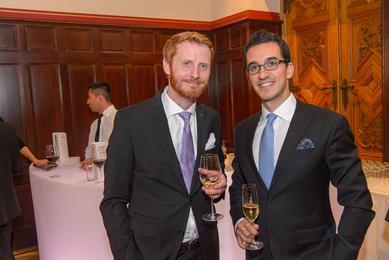 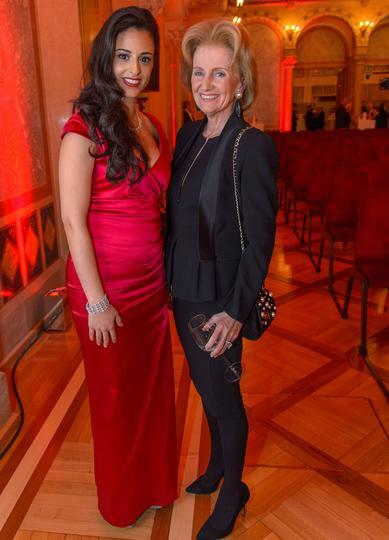 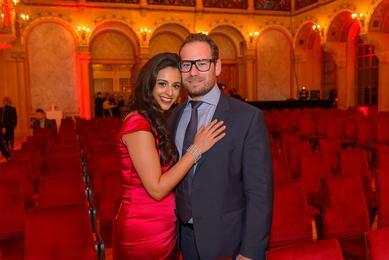 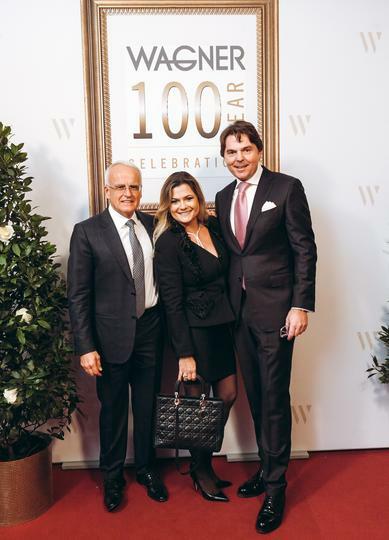 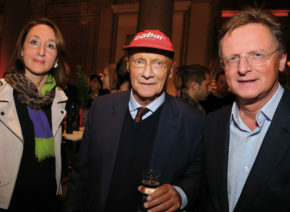 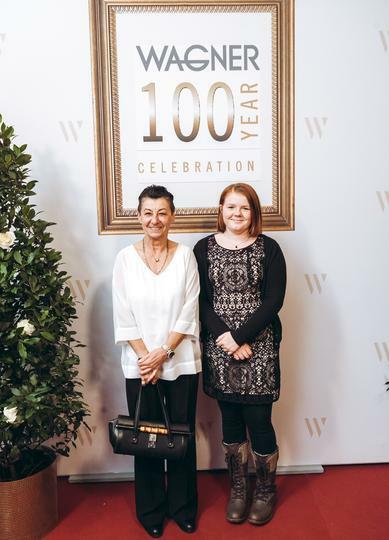 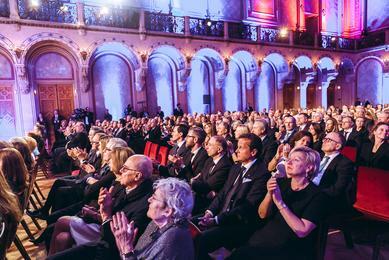 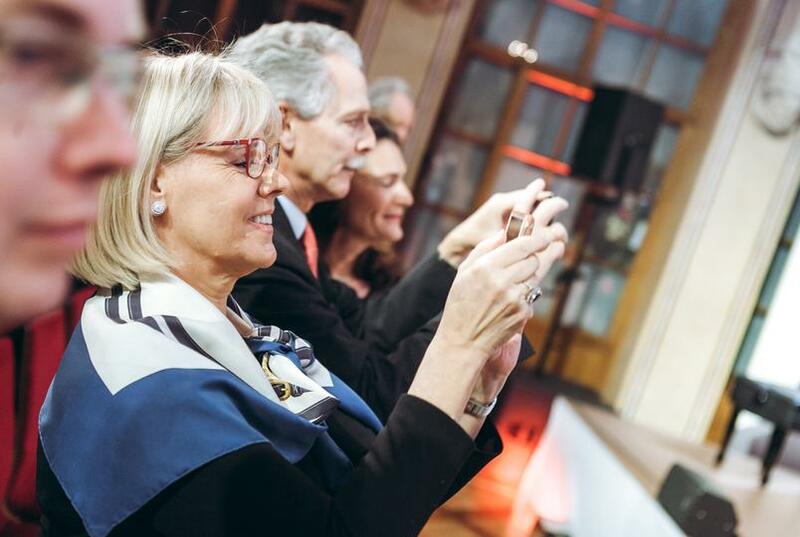 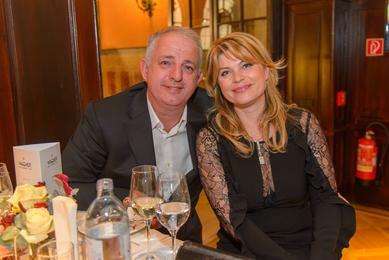 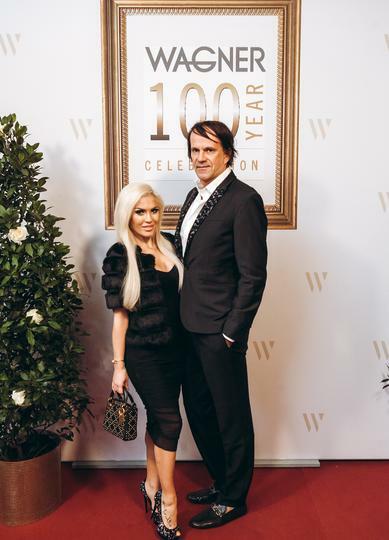 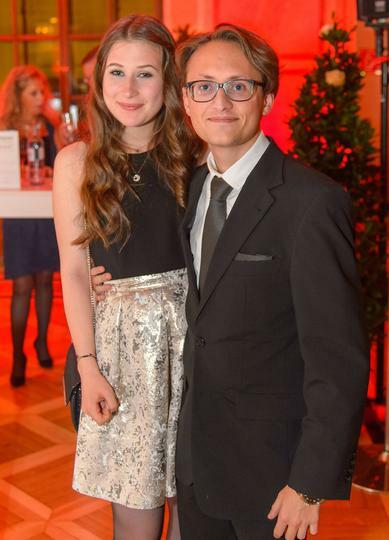 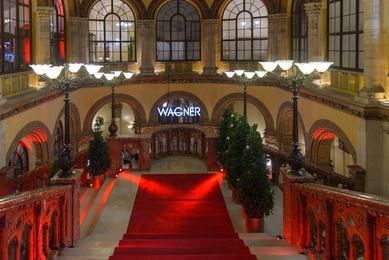 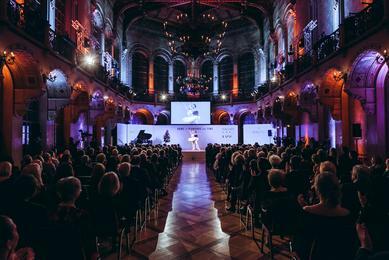 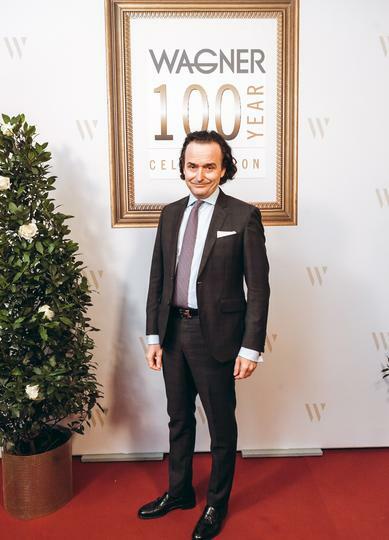 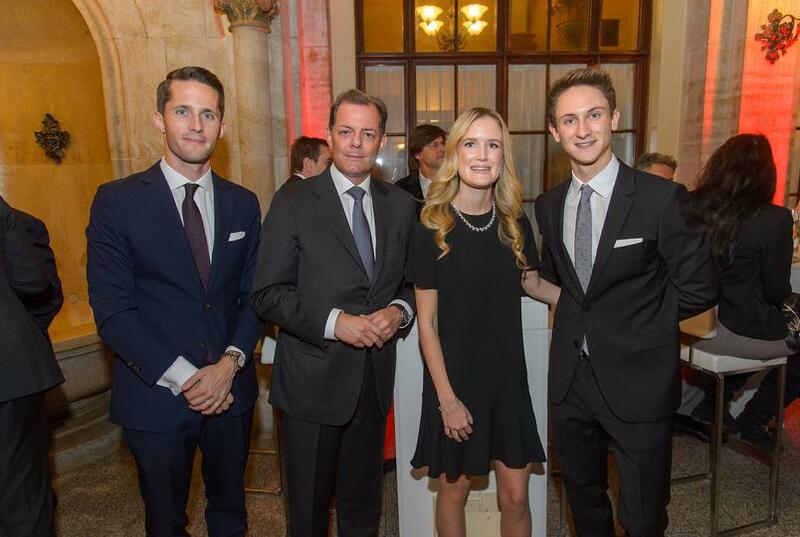 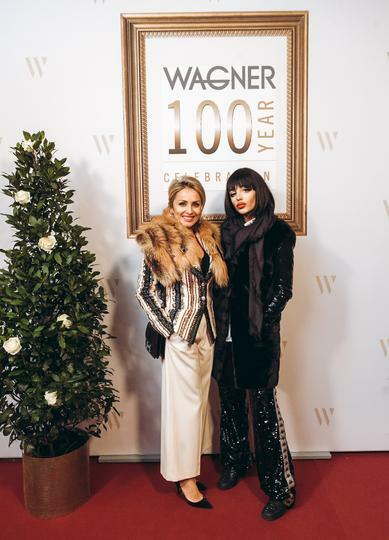 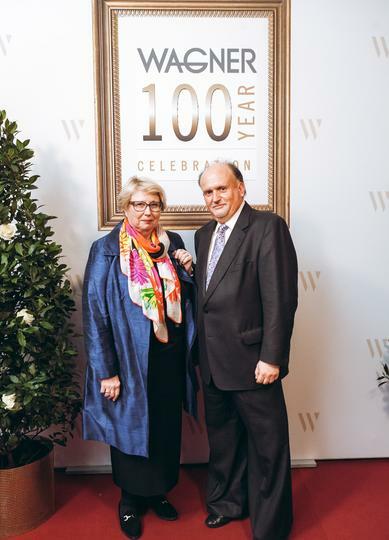 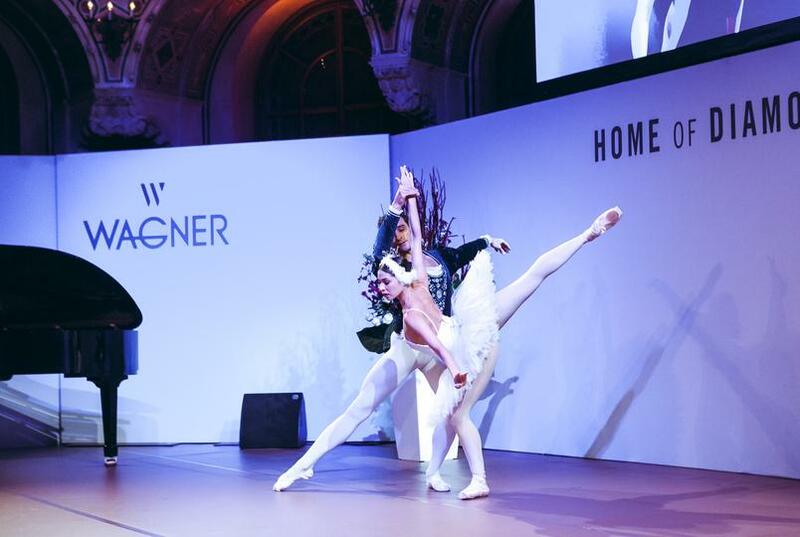 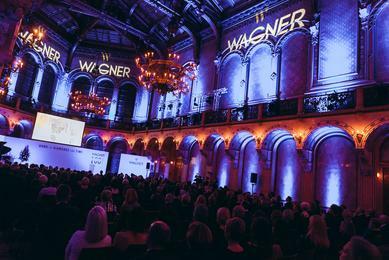 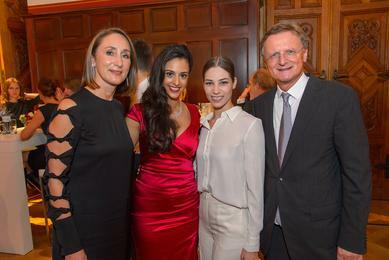 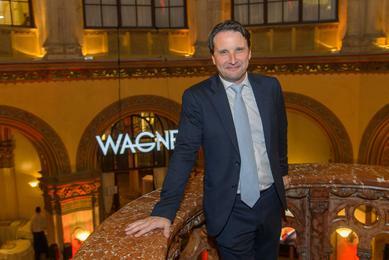 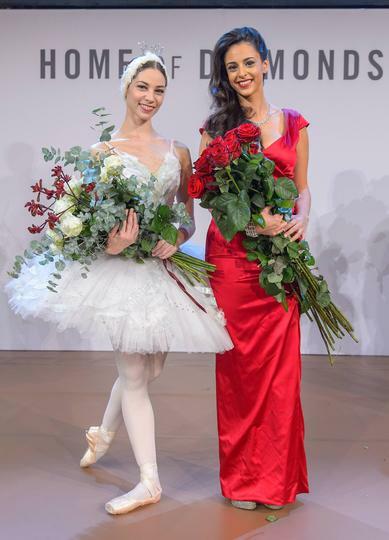 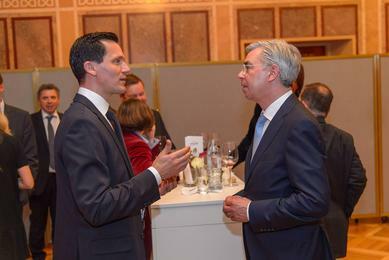 The hundredth anniversary of Juwelier Wagner was cause for special festive celebrations held at Palais Ferstel. 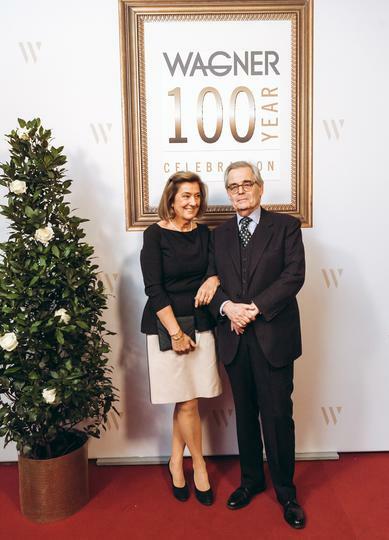 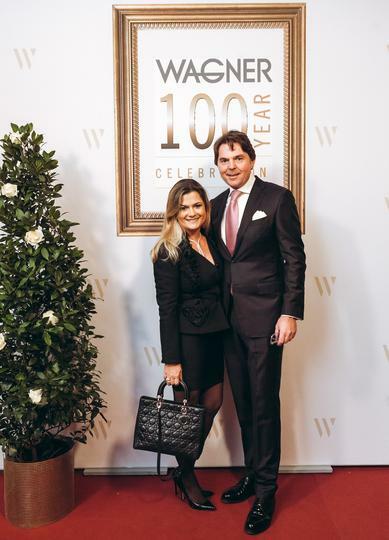 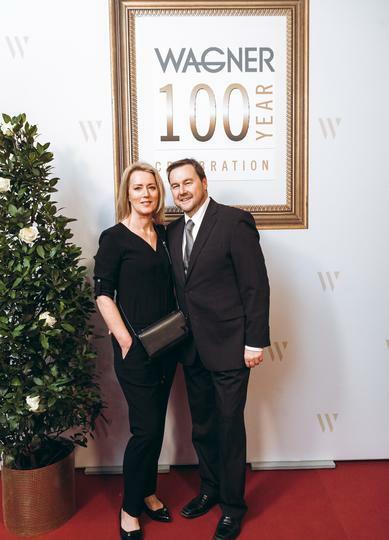 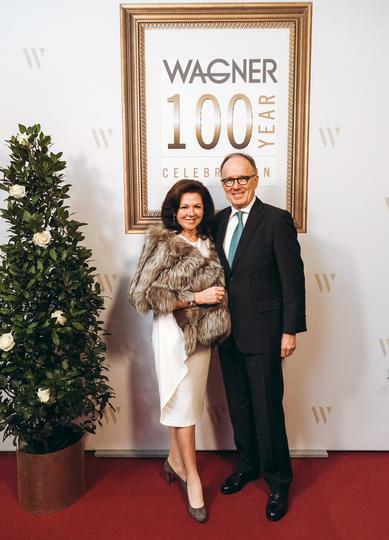 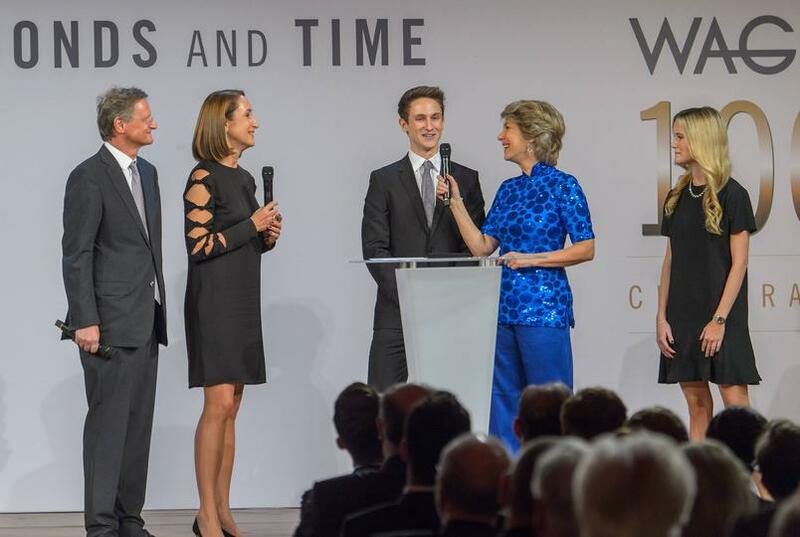 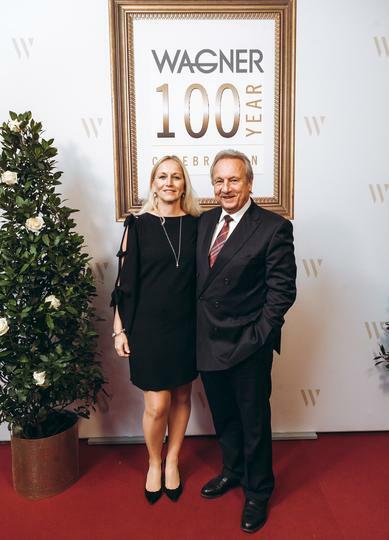 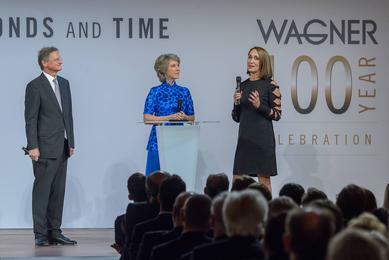 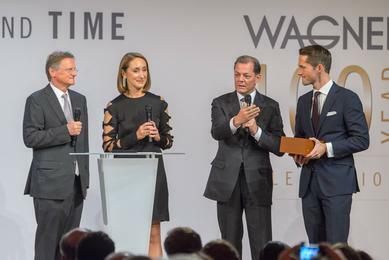 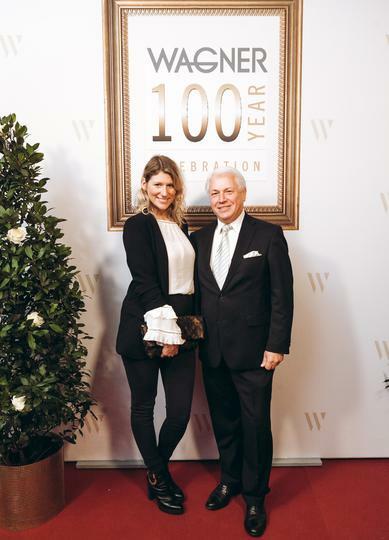 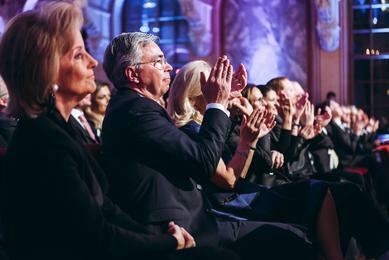 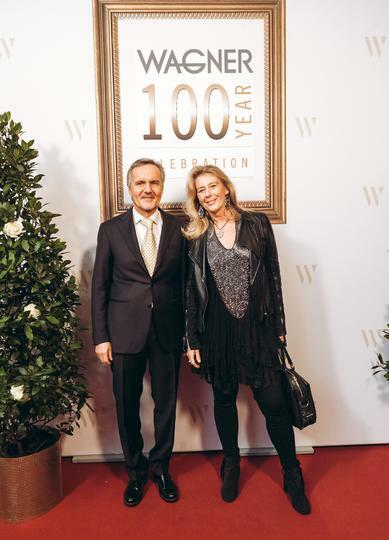 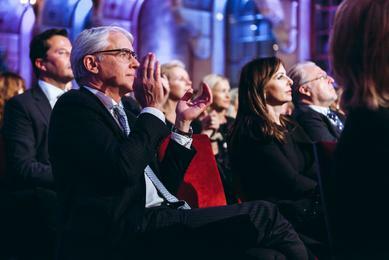 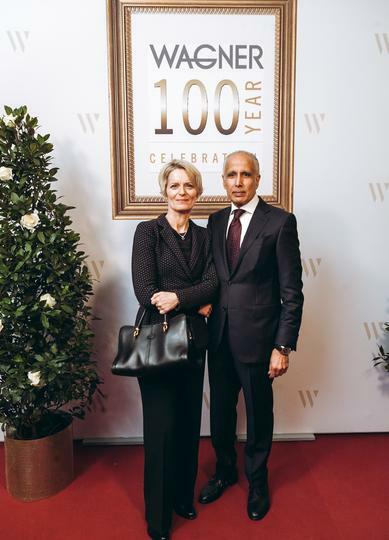 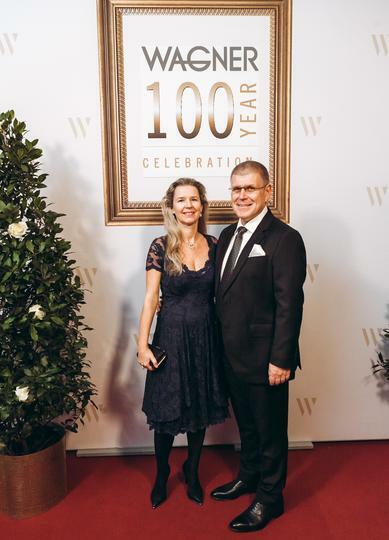 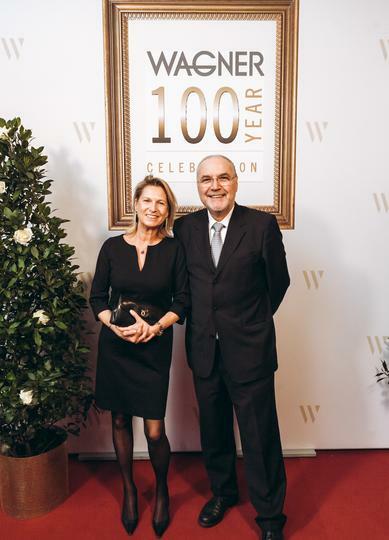 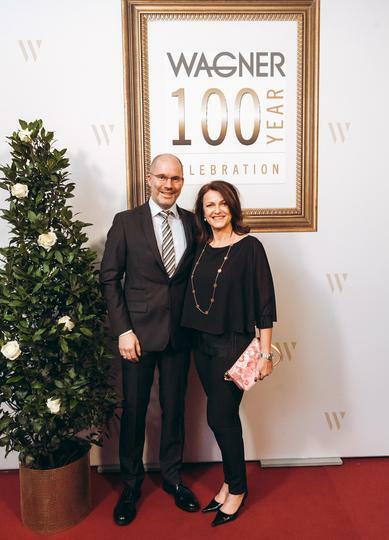 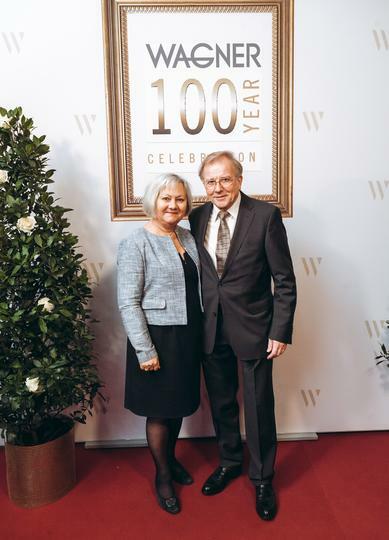 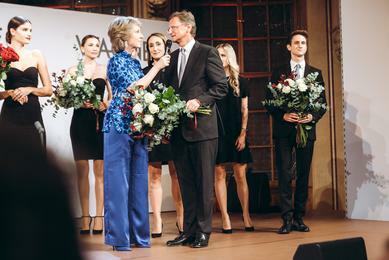 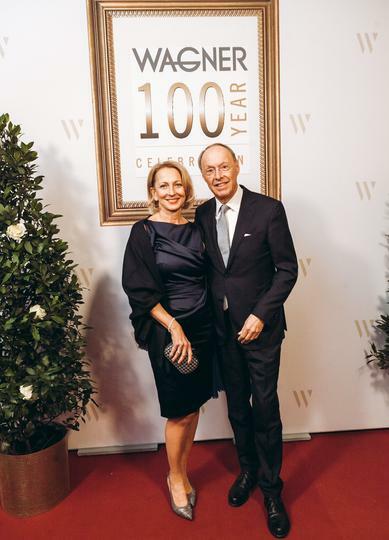 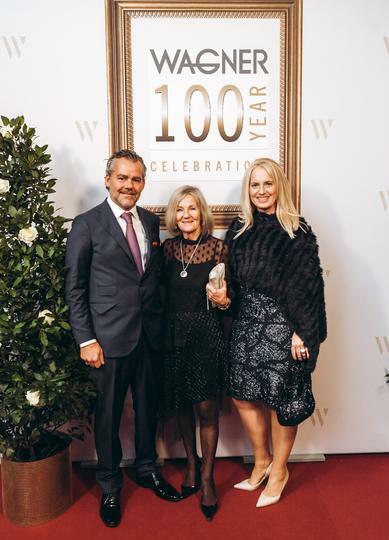 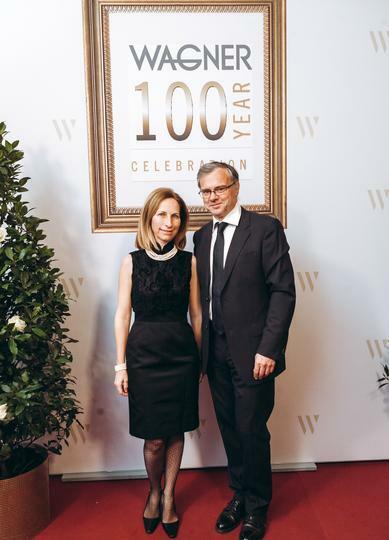 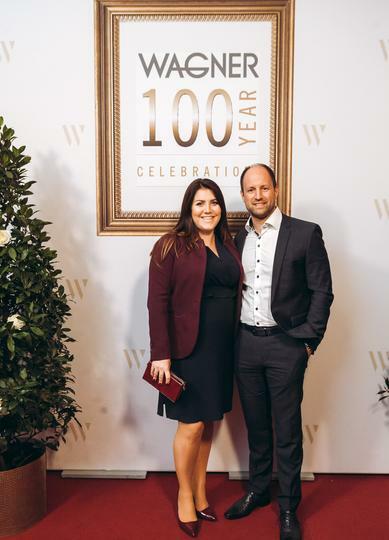 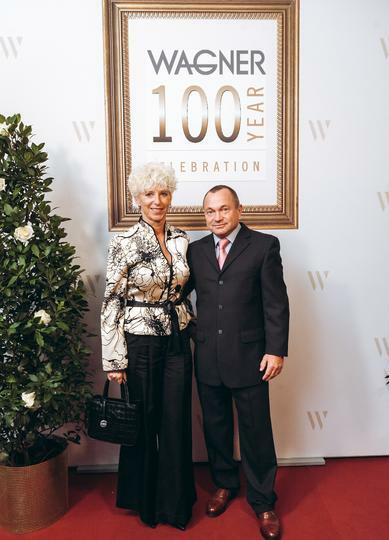 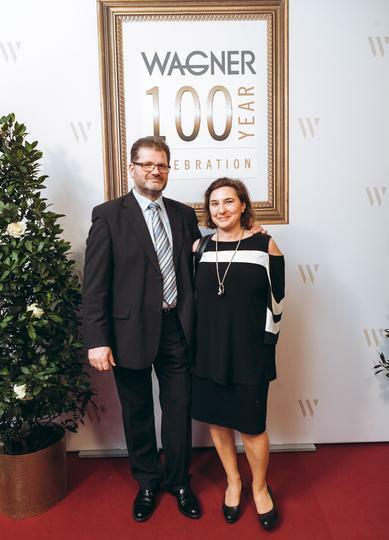 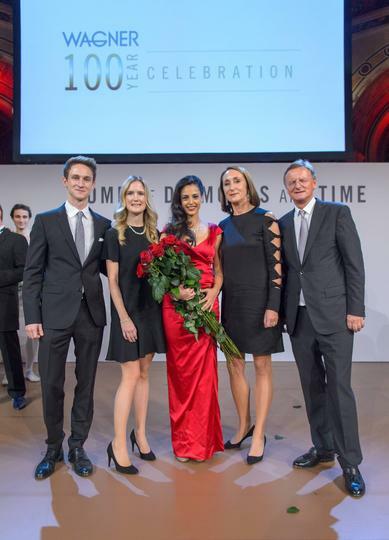 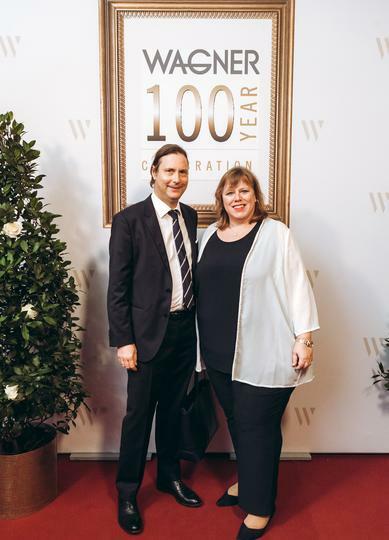 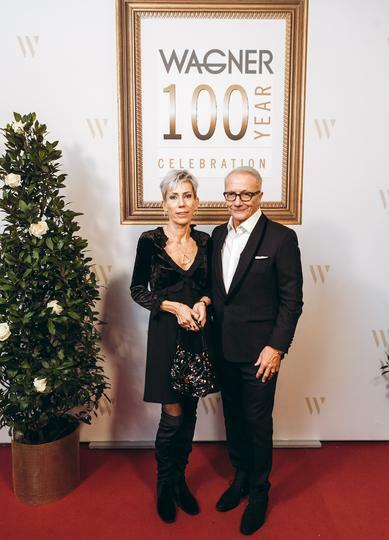 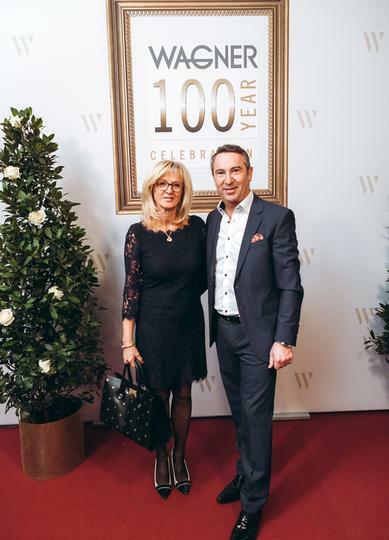 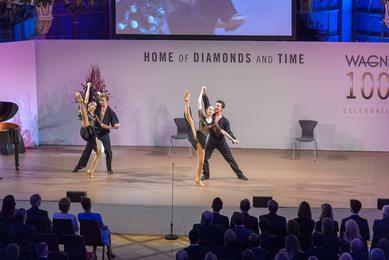 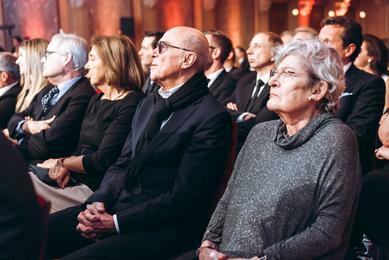 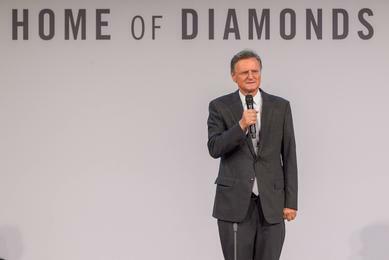 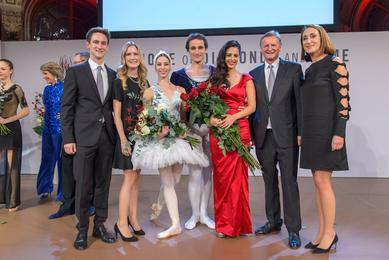 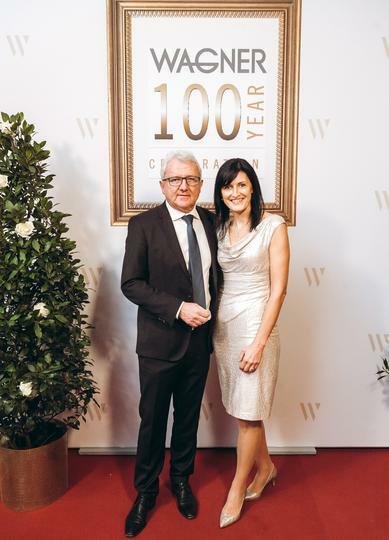 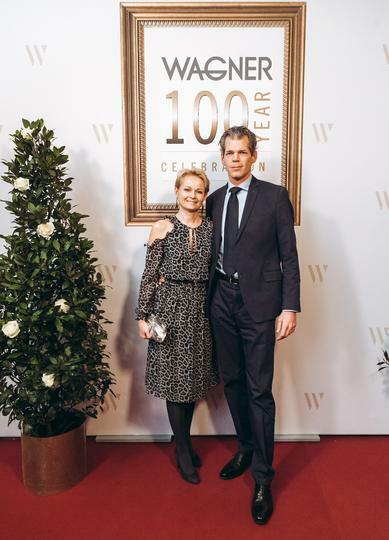 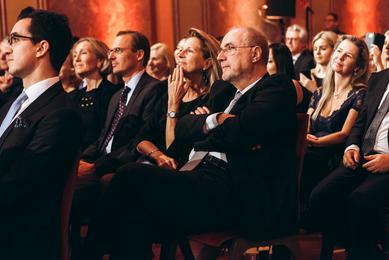 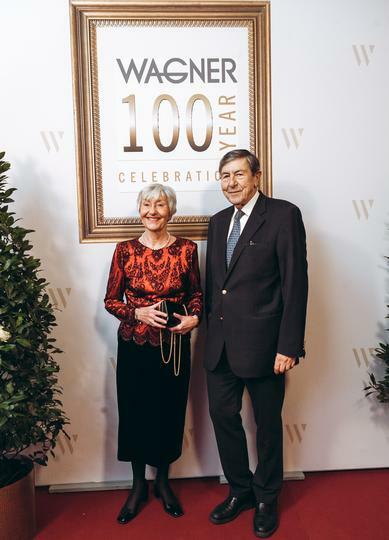 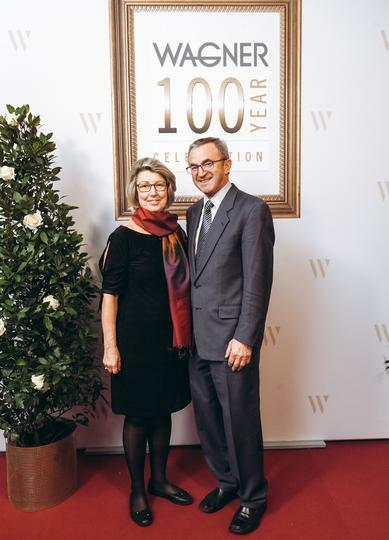 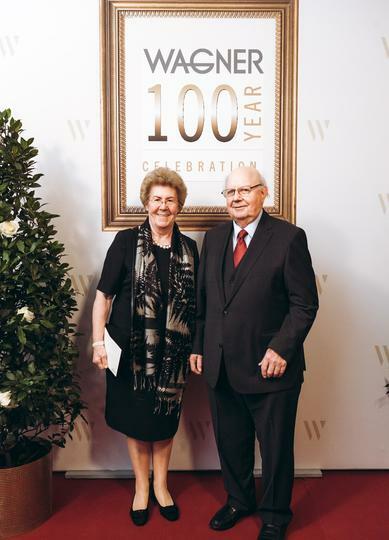 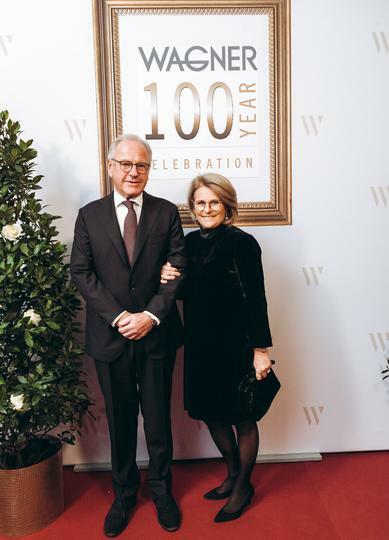 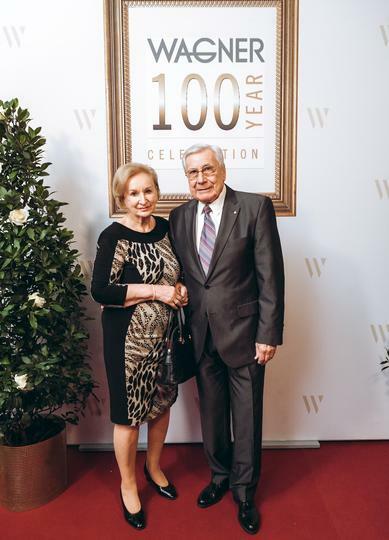 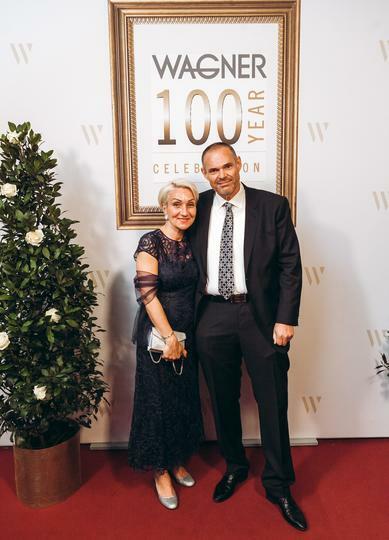 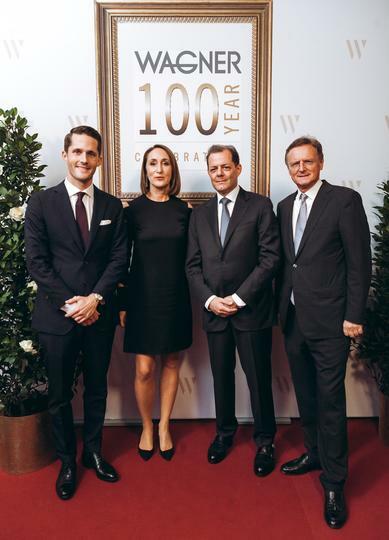 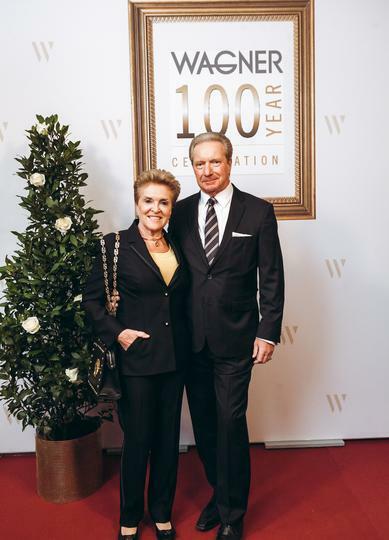 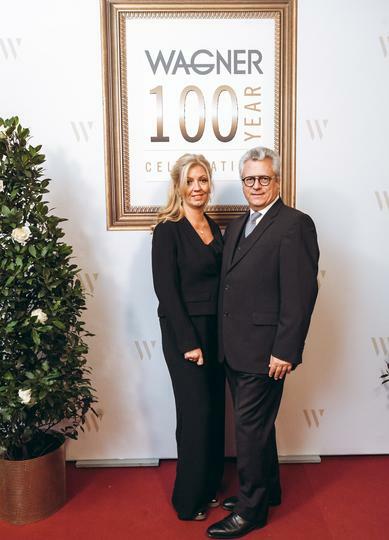 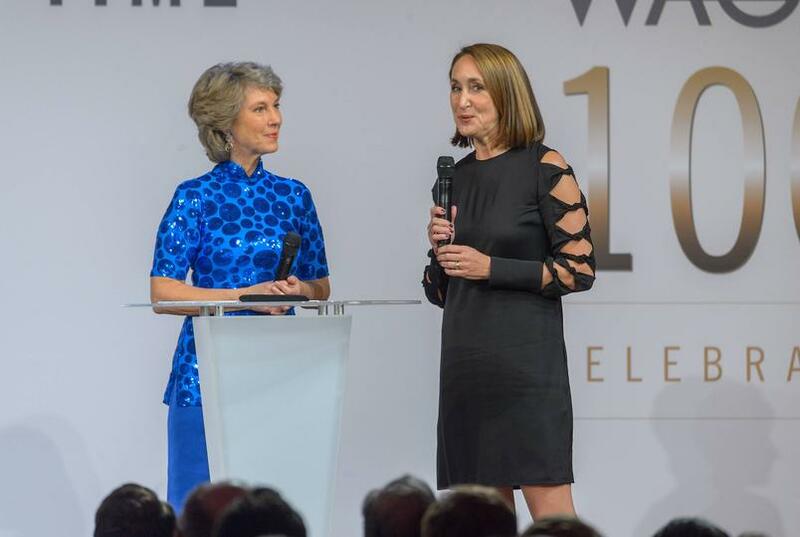 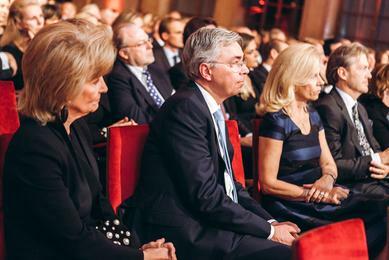 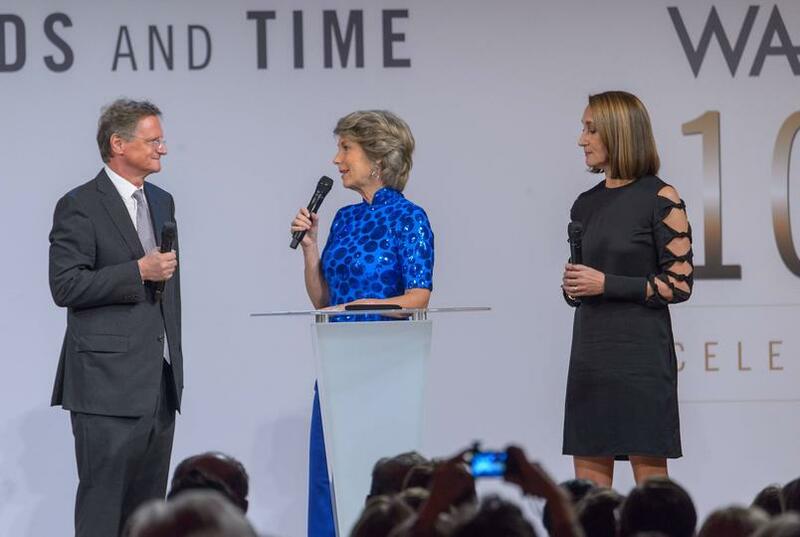 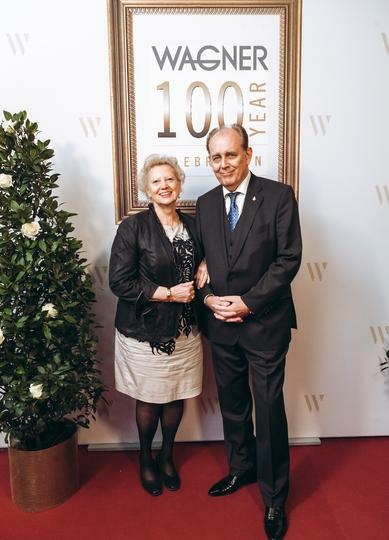 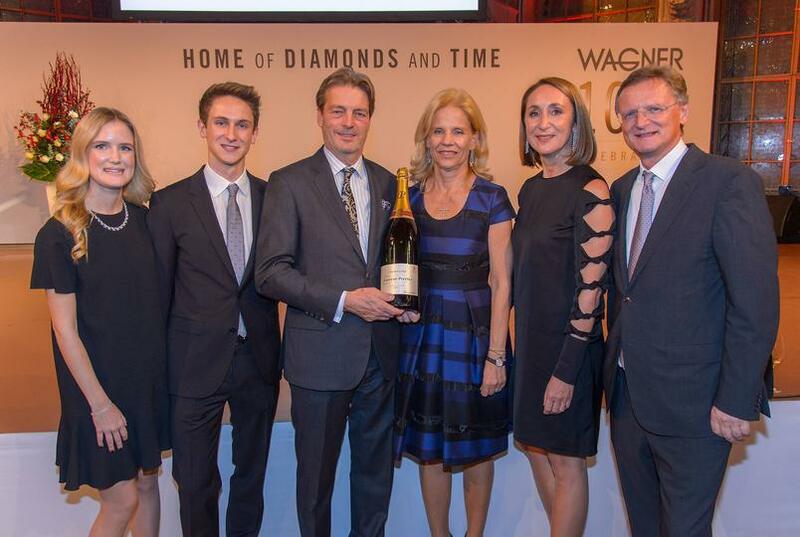 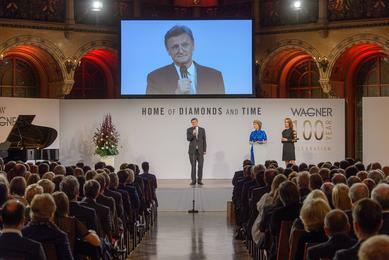 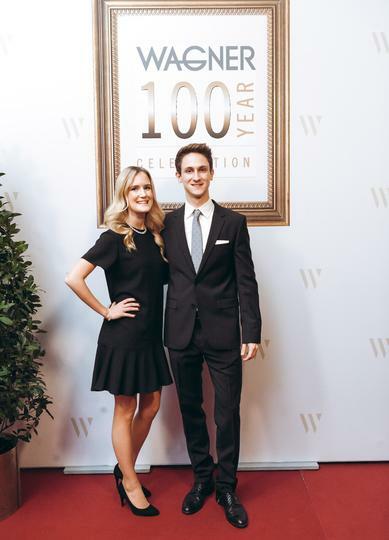 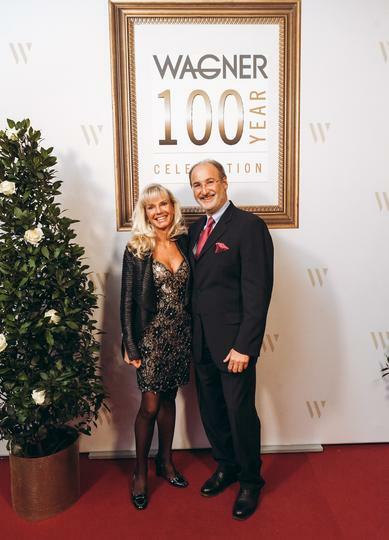 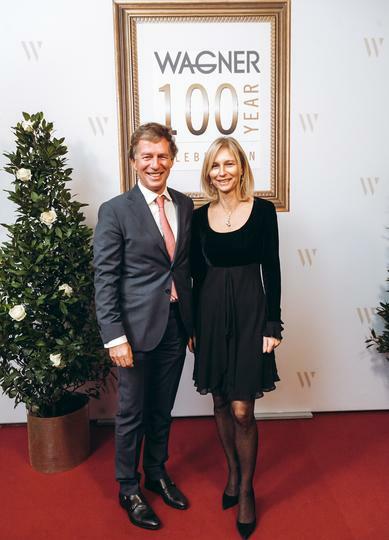 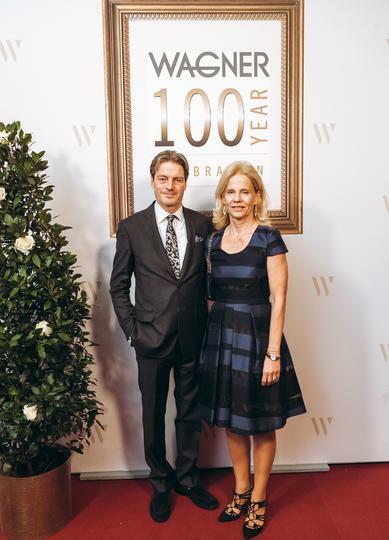 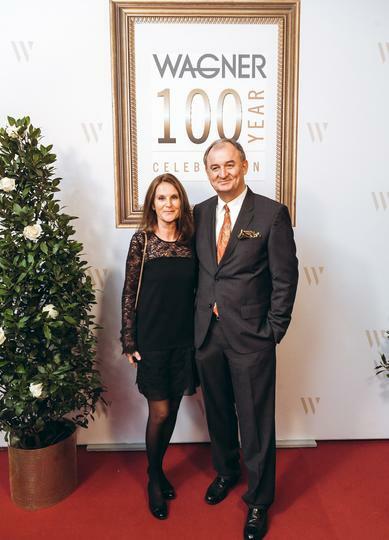 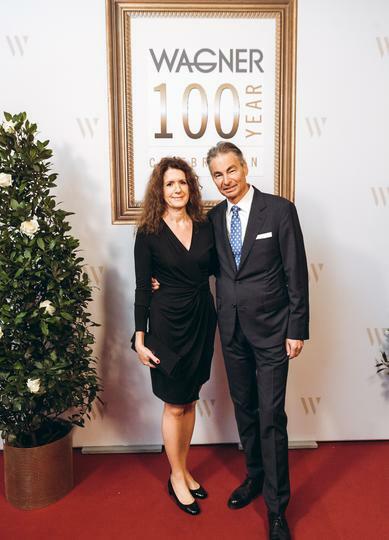 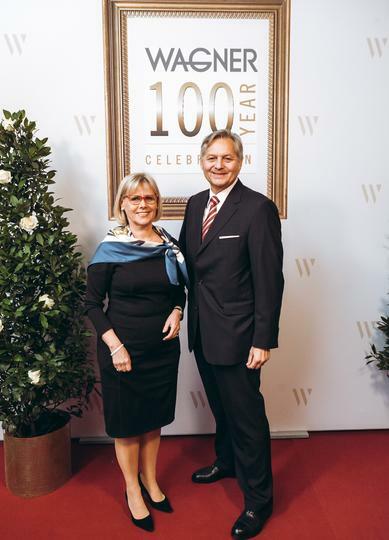 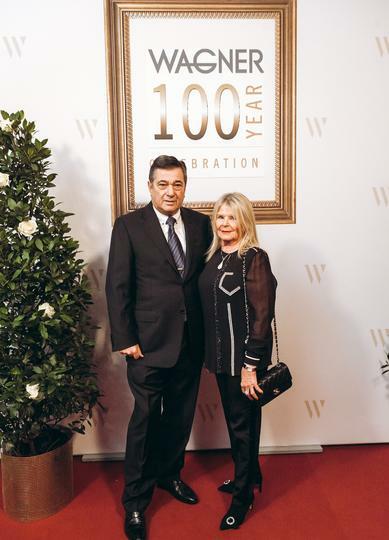 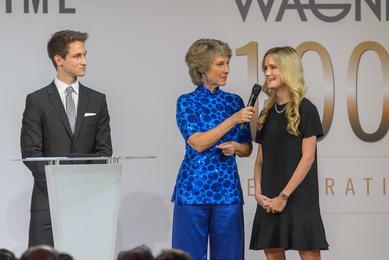 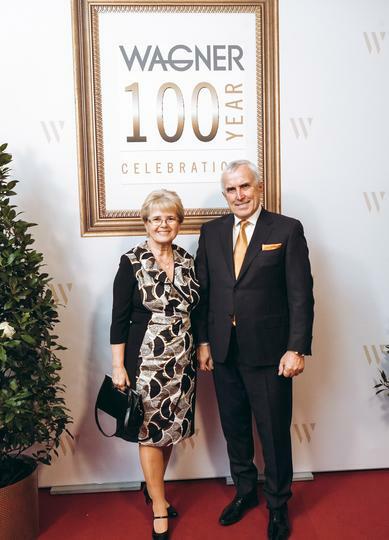 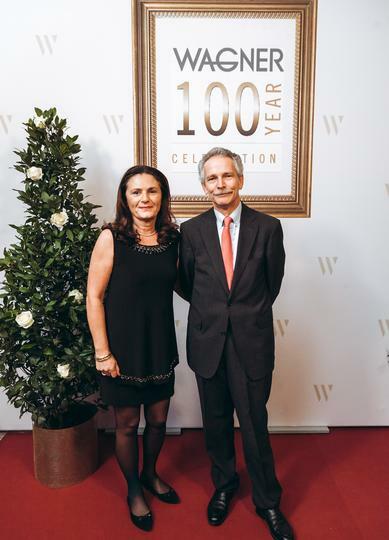 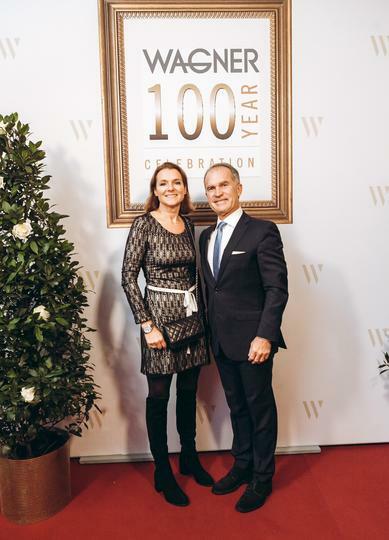 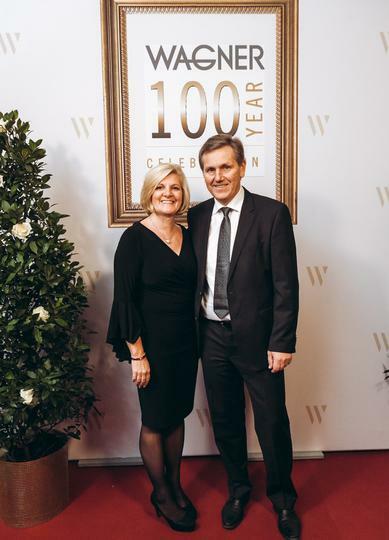 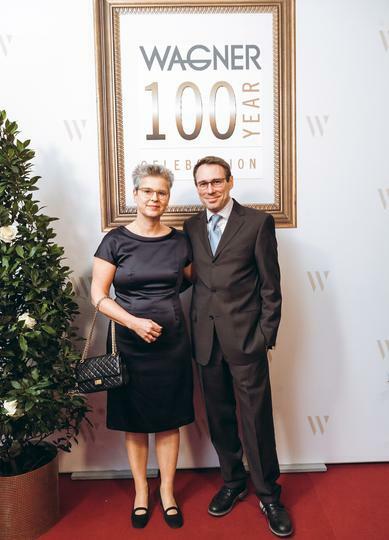 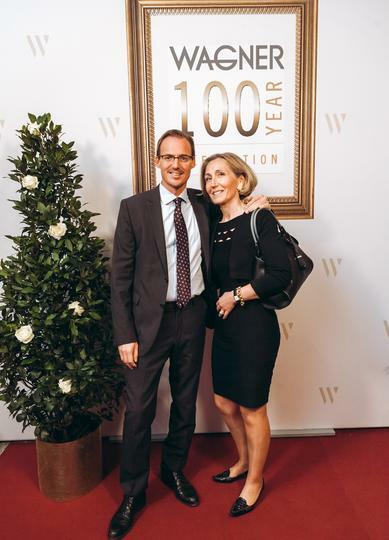 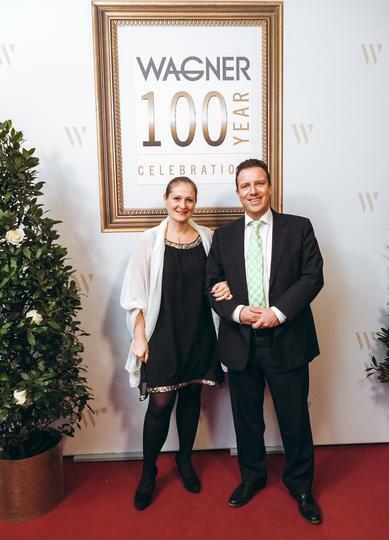 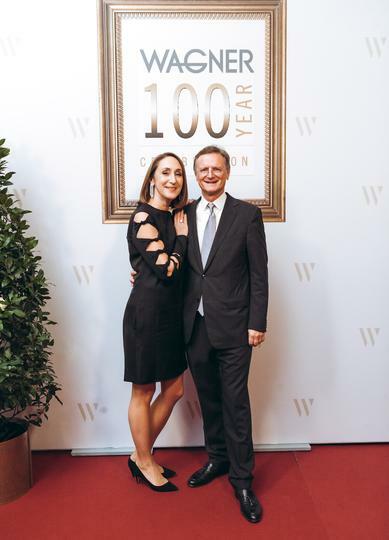 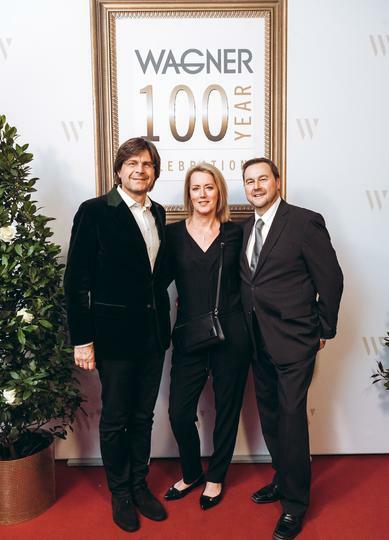 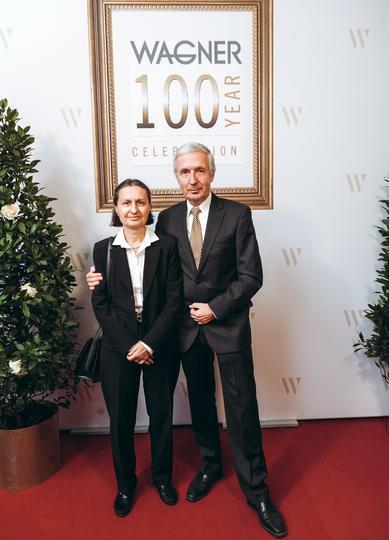 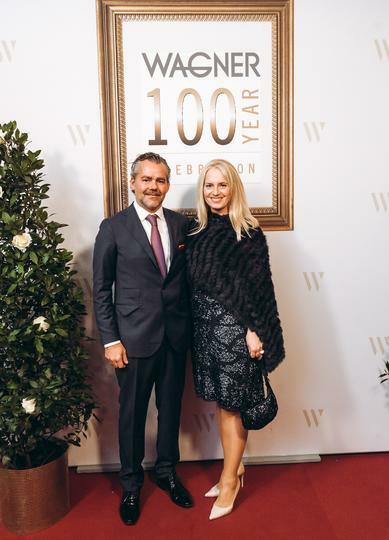 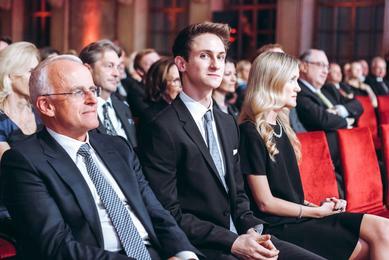 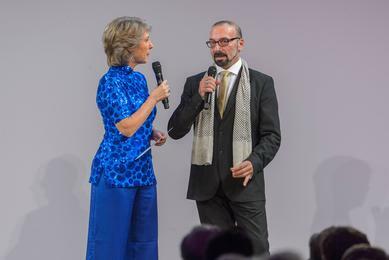 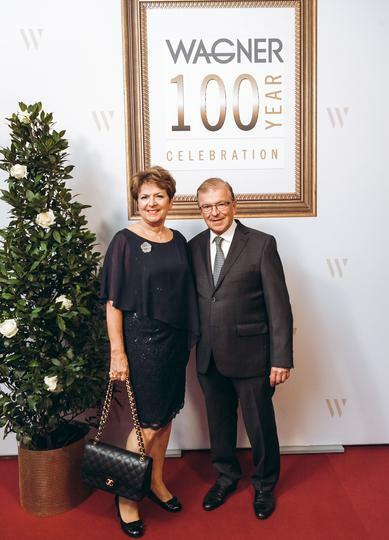 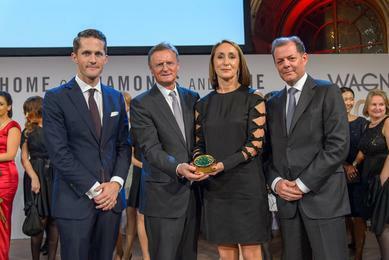 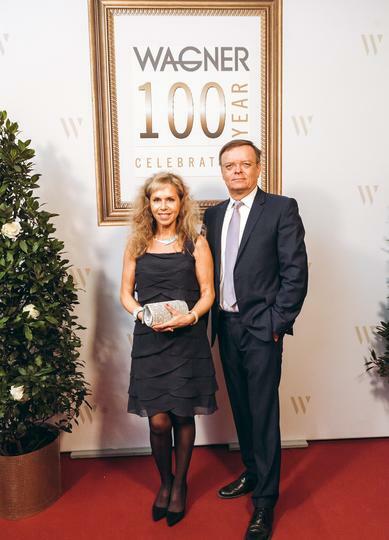 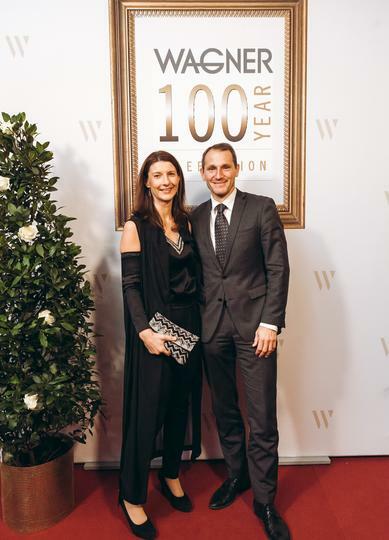 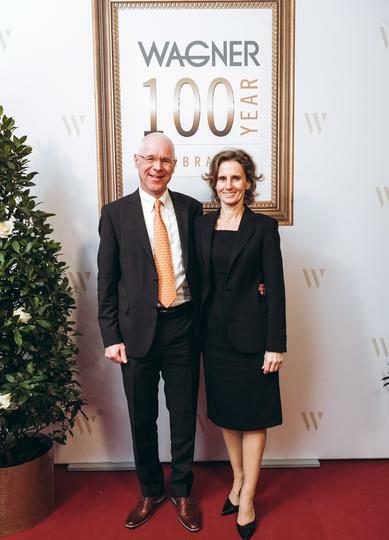 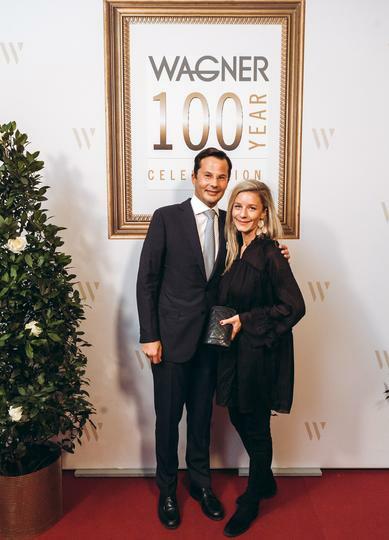 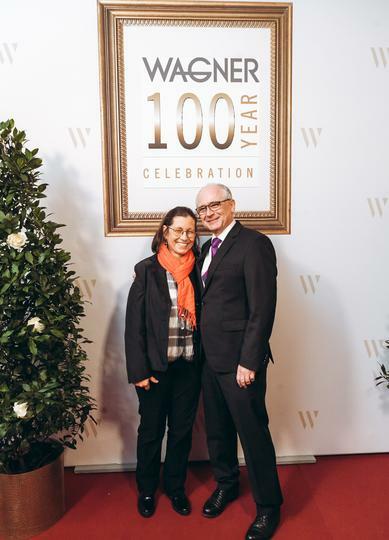 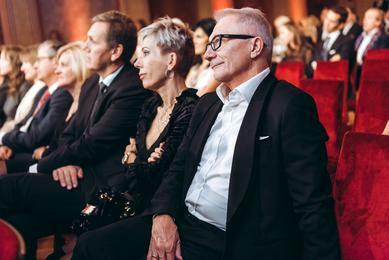 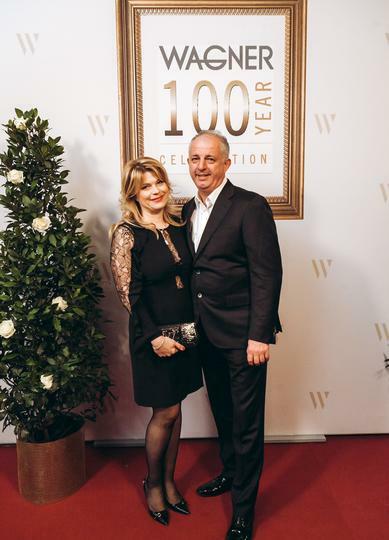 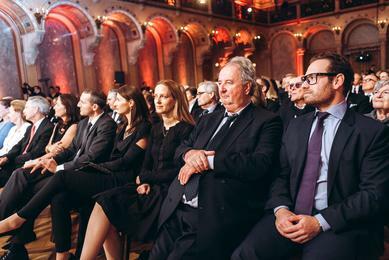 On stage in the ballroom, the hosts Hermann and Katharina Gmeiner-Wagner, the third generation of the family that owns Juwelier Wagner, expressed their gratitude to customers, Wagner employees and suppliers present at this celebration for the first 100 years of Juwelier Wagner. 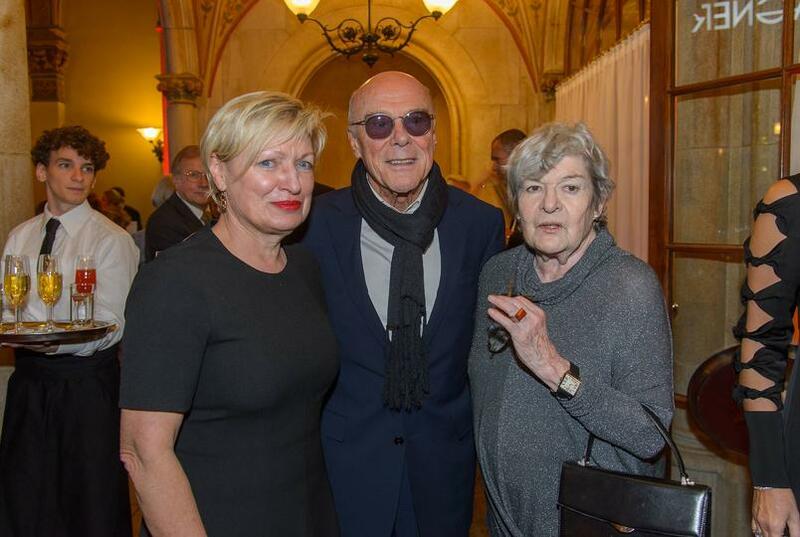 Arts journalist Dr. Barbara Rett presided as the charming moderator for the evening. 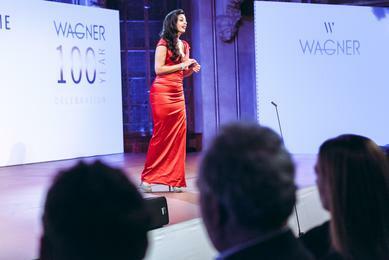 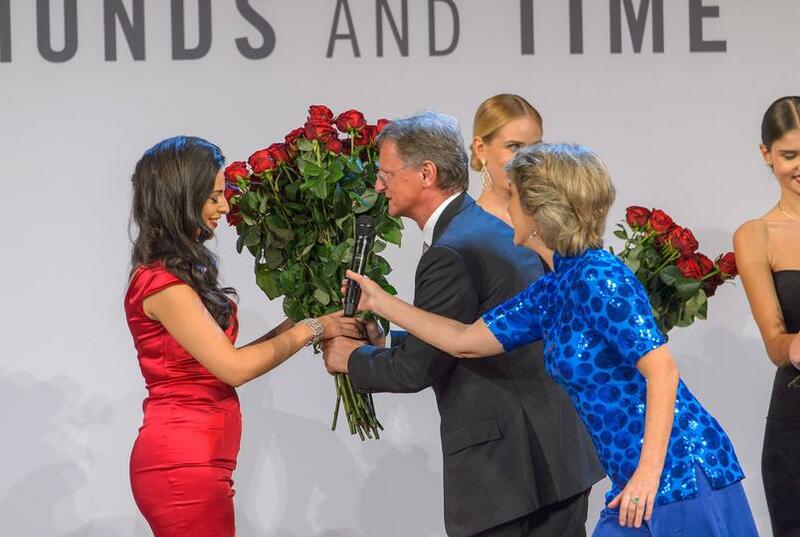 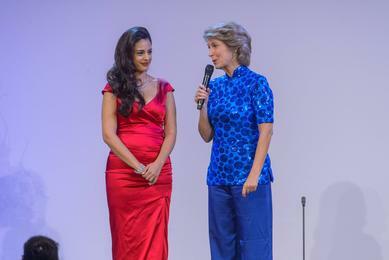 The musical highlight of the event was the young and radiant soprano Hila Fatima (member of the Wiener Staatsoper Ensemble) accompanied by pianist Jendrik Springer. 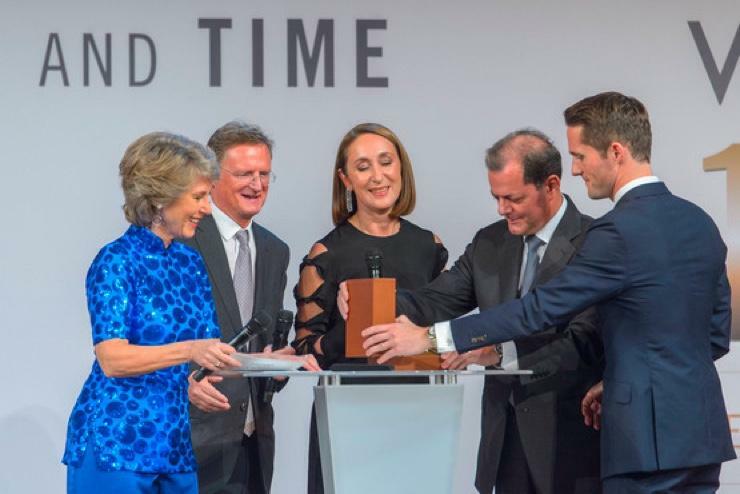 Rolex Geneva, represented by Rafael Rolli (Member of the Board) and Rémi Corpataux (Head of Sales, Austria) presented a surprise anniversary gift in the form of a special Rolex clock. 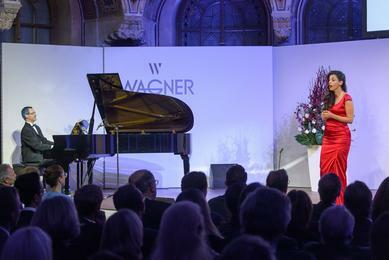 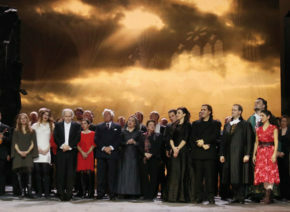 The invited guests, among whom was Dr. Ariel Muzicant, were delighted with Hila Fatima’s performance. 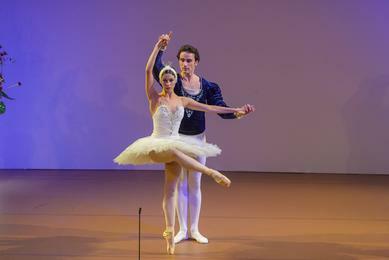 Maria Yakovleva and Roman Lazik, first soloists at the Wiener Staatsoper Ballet, gave a classical performance of the adagio from Swan Lake. 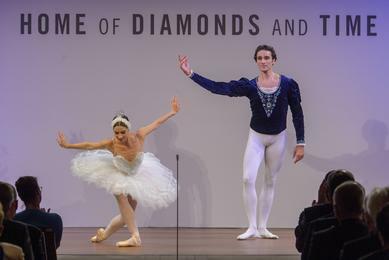 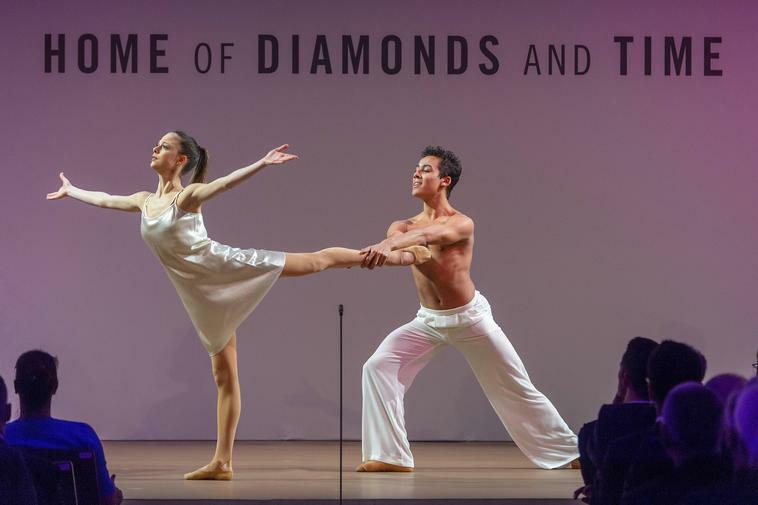 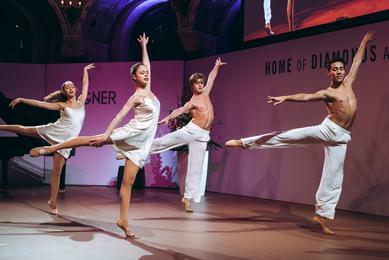 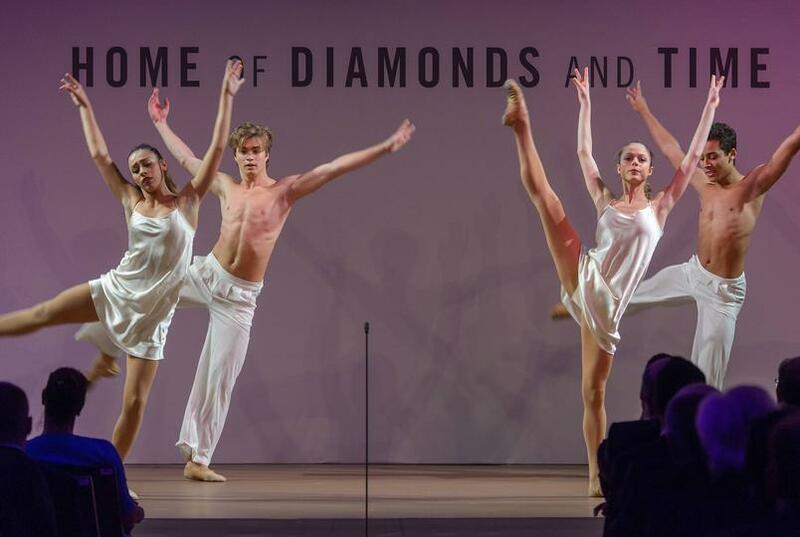 Upcoming young stars from the ballet academy began the programme by performing contemporary pieces, with choreography by Gianpiero Tiranzoni. 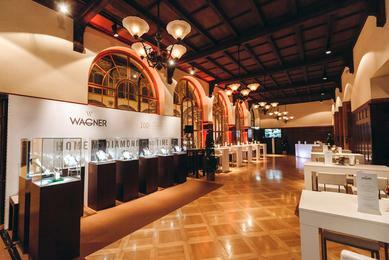 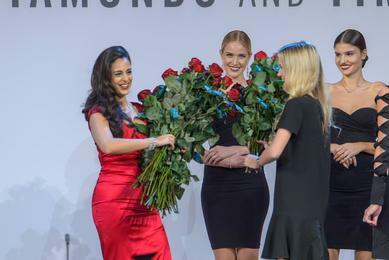 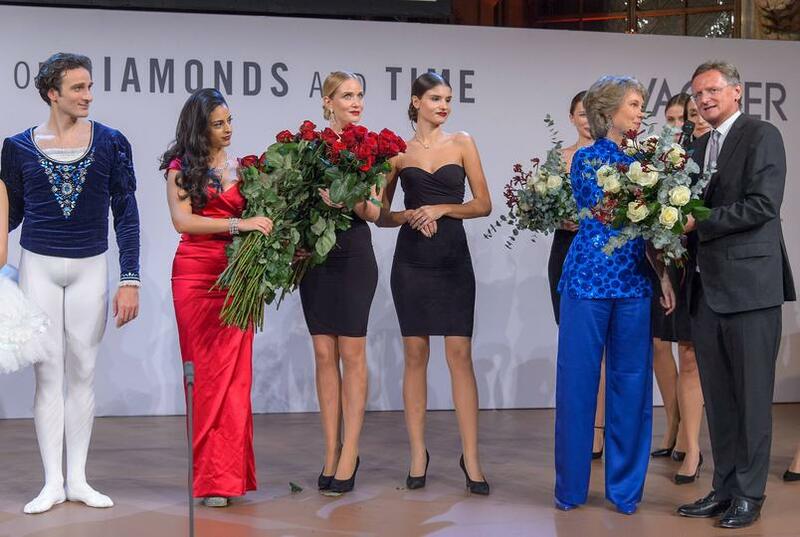 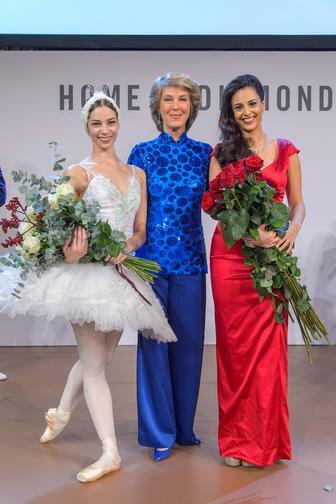 A small selection from Wagner’s sparkling jewellery collections was presented by six models. 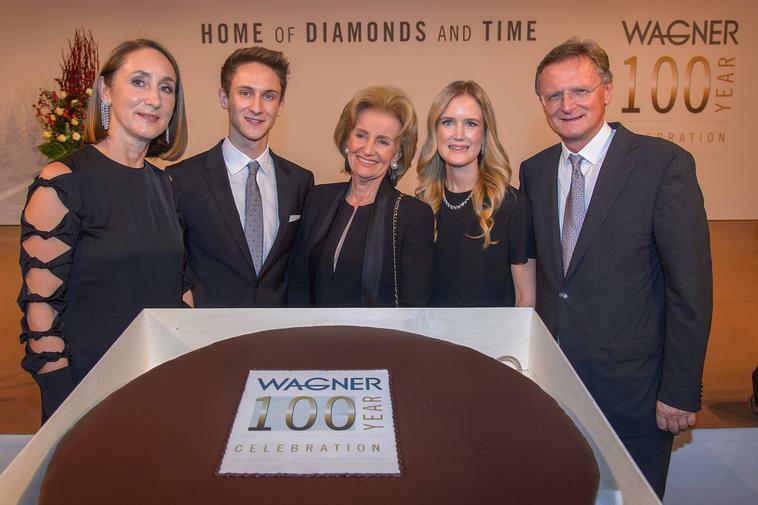 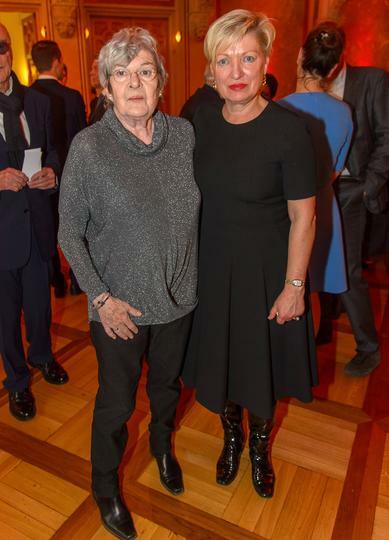 Elisabeth Gürtler (the grand dame of Hotel Sacher) congratulated the Gmeiner-Wagner family with a gift of an extra-special Sachertorte. 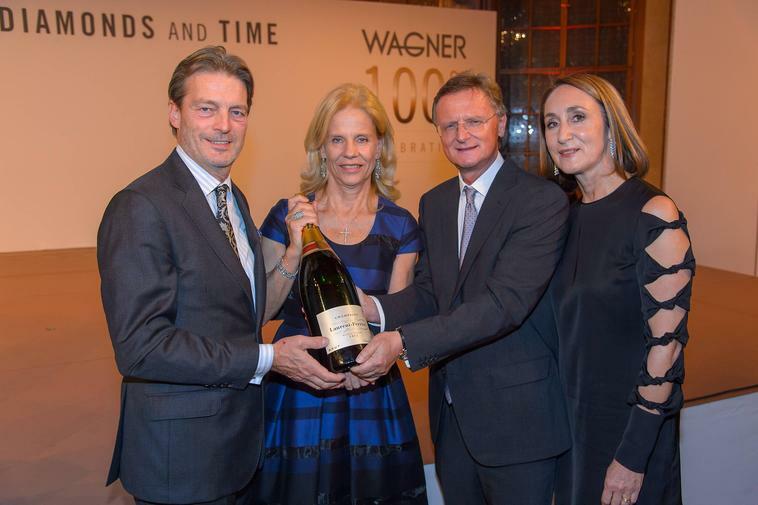 Ernst and Maria Polsterer-Kattus (Sektkellereien Kattus) congratulated the Gmeiner-Wagner family with a gift of a double magnum of Laurent-Perrier champagne. 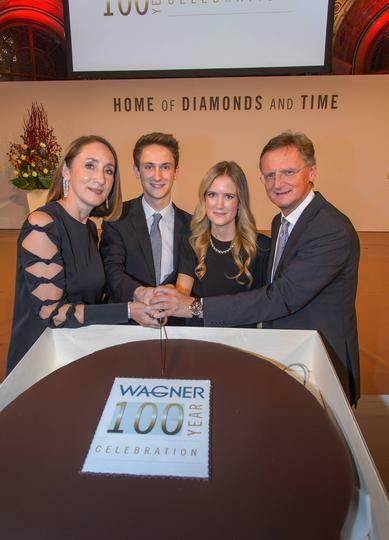 Juwelier Wagner is a modern family-run company that today is under the management of the 3rd generation. 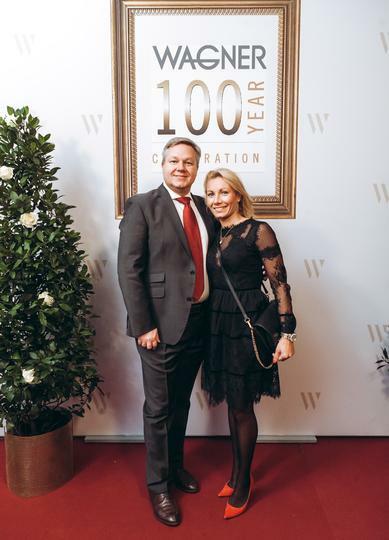 Many years of experience and expertise are the underlying fundamentals for the business, which has always been managed dynamically with a positive outlook on the future. 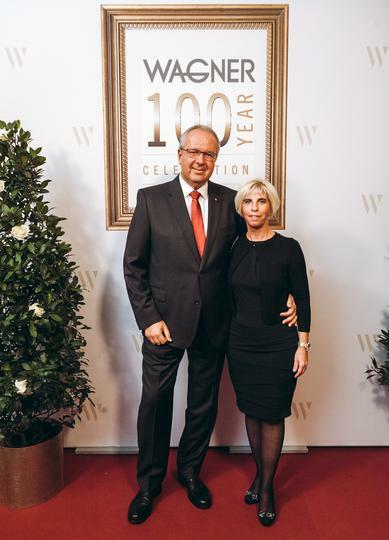 Today Juwelier Wagner is one of the few Austrian jewellery companies to have its own watch and jewellery workshops with state-of-the-art equipment on its premises. 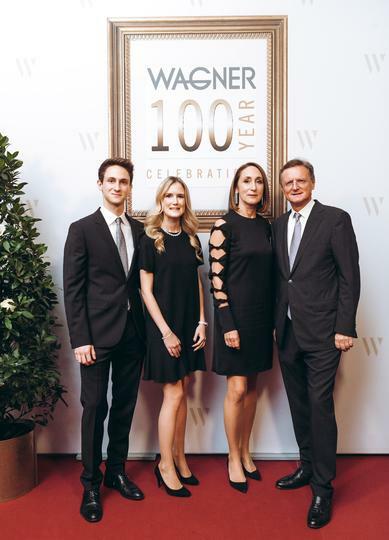 Juwelier Wagner has always given a high priority to the processing of glittering diamonds, which are shown to their best advantage thanks to exquisite craftsmanship. 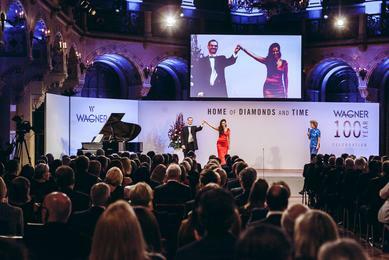 “The constant course of expansion since the 1980s has made the highly specialised family business into the market leader for watches and jewellery. 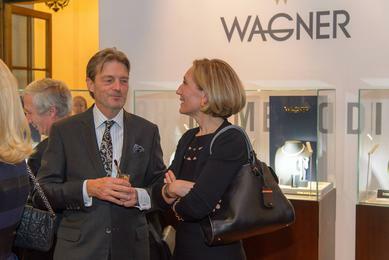 Our strong points are our own collections of jewellery and the wide range of selected international watch and jewellery brands in the luxury segment” explains Hermann Gmeiner-Wagner. 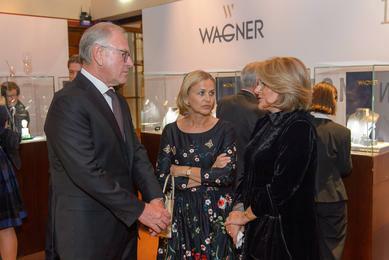 The cooperation between the Swiss watch manufacturer Rolex and Wagner, as the first official retailer in Austria, dates back to 1954. 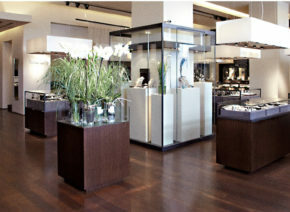 The company’s philosophy concentrated on satisfying exacting customer requirements with consummate skills and expertise. 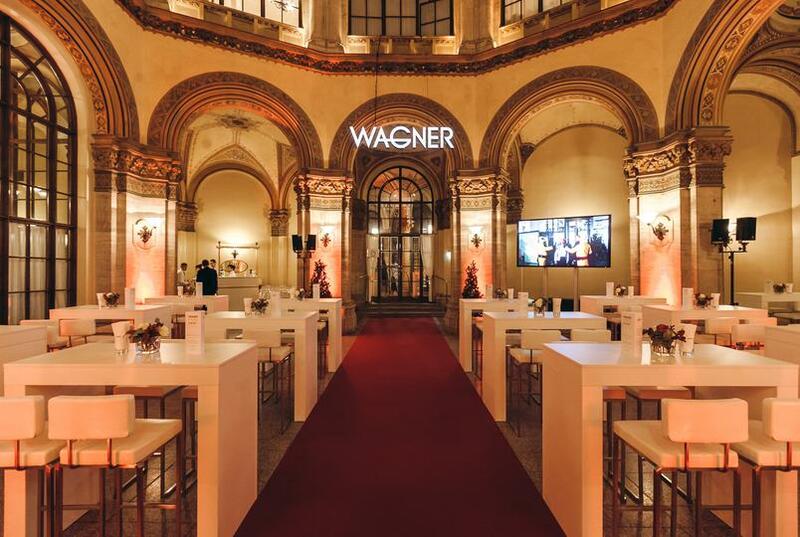 A guarantee of quality, which their discerning clientèle appreciates, in addition to the international brands offered by Juwelier Wagner. 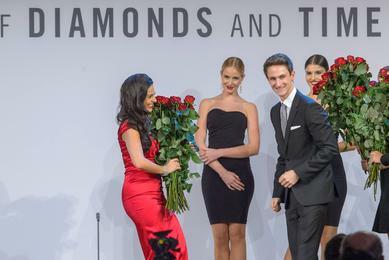 Presenting a new store concept on over 1,000 m².